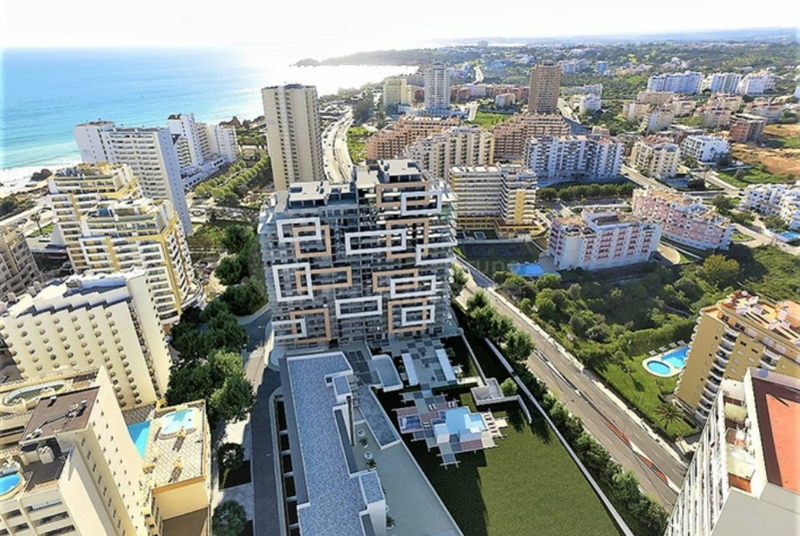 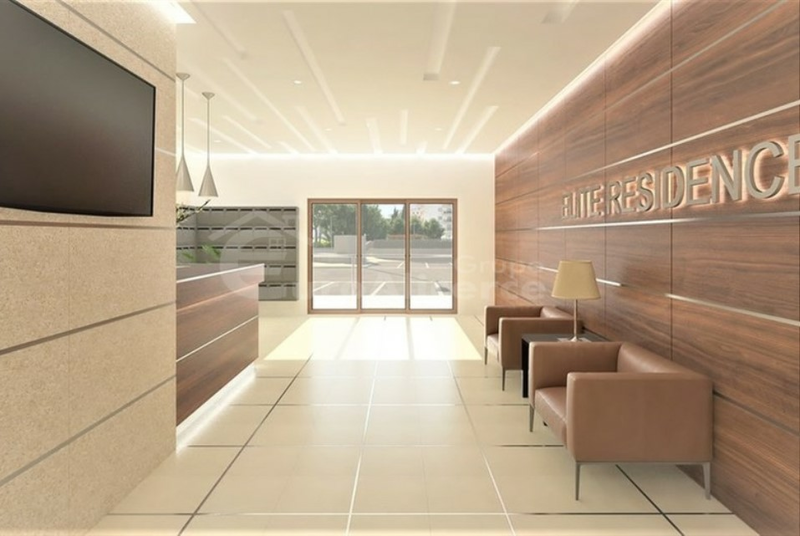 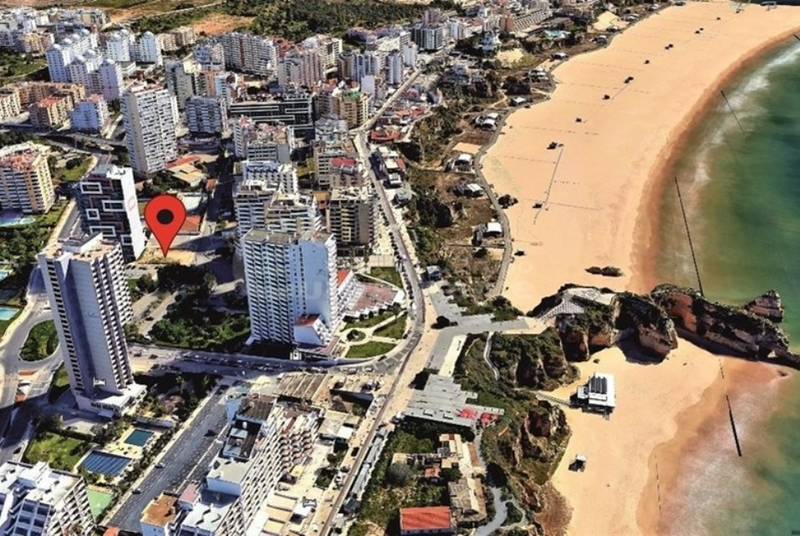 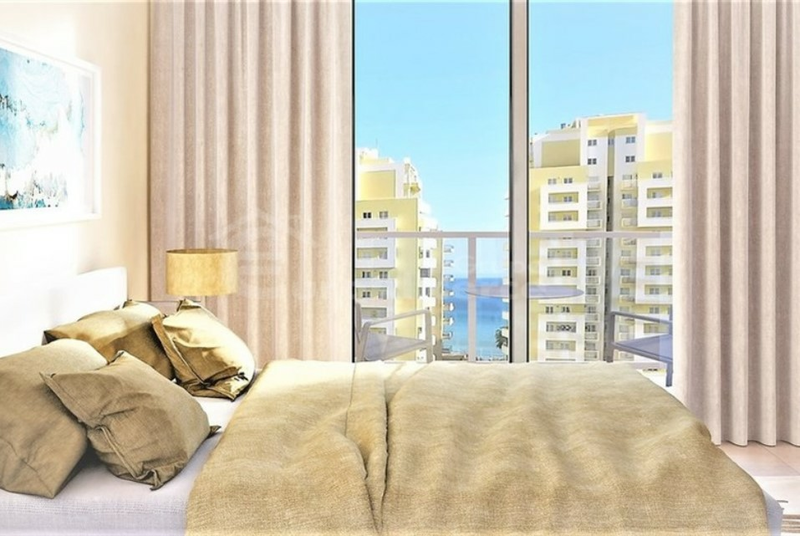 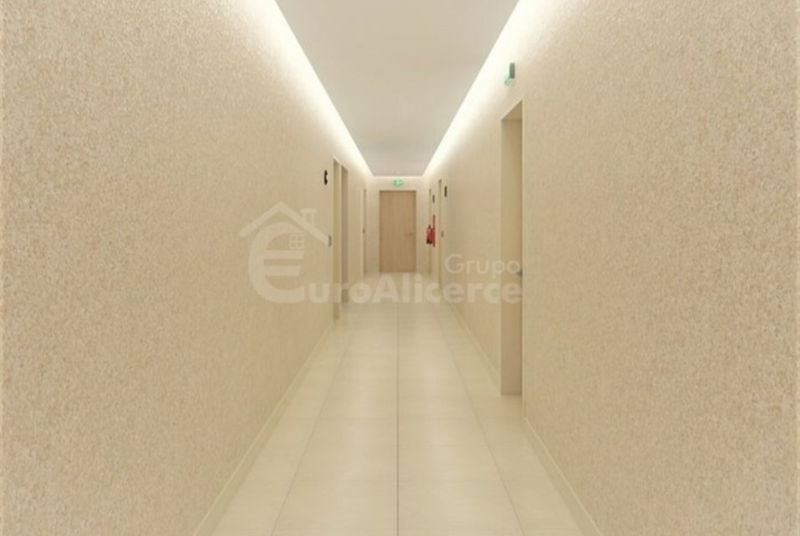 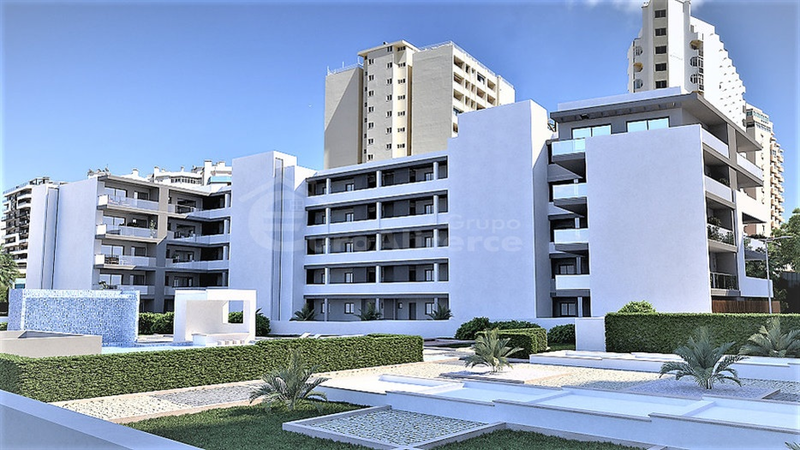 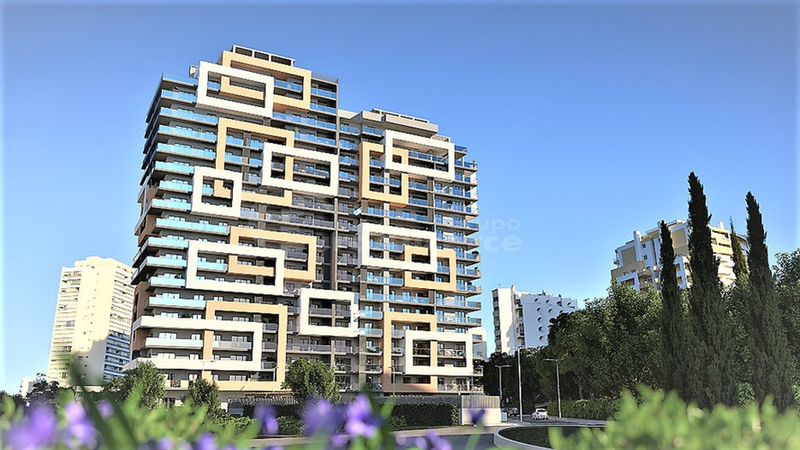 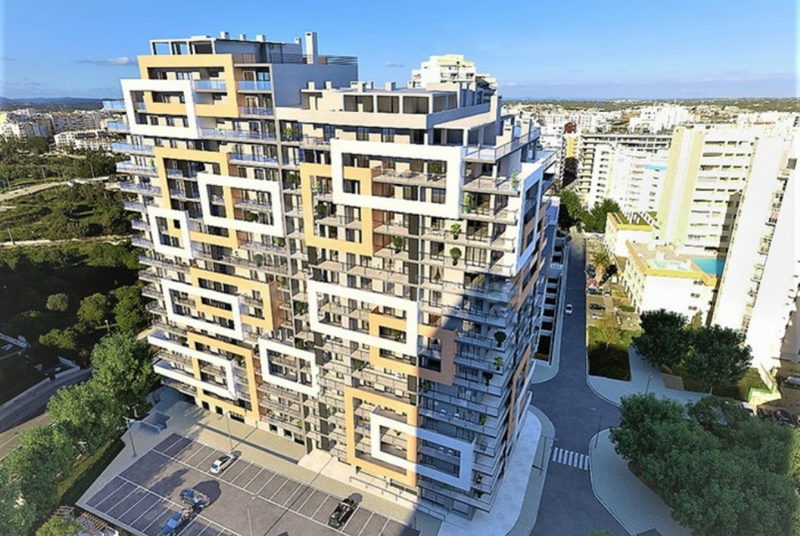 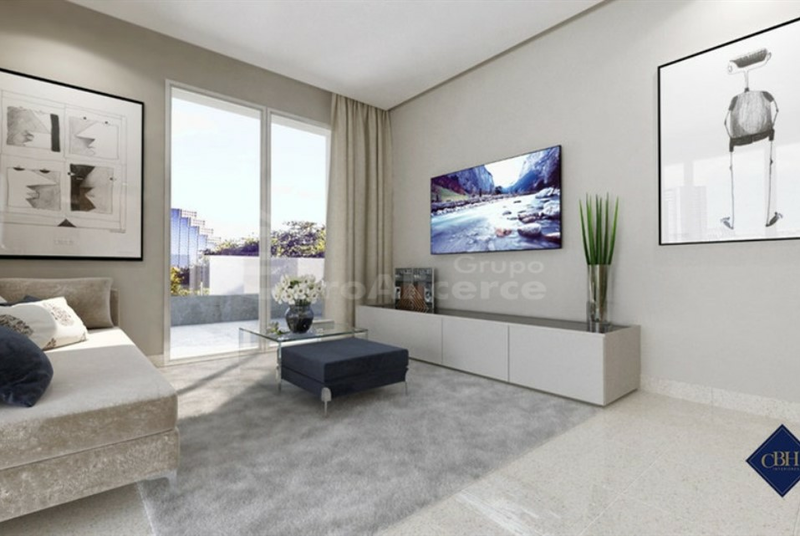 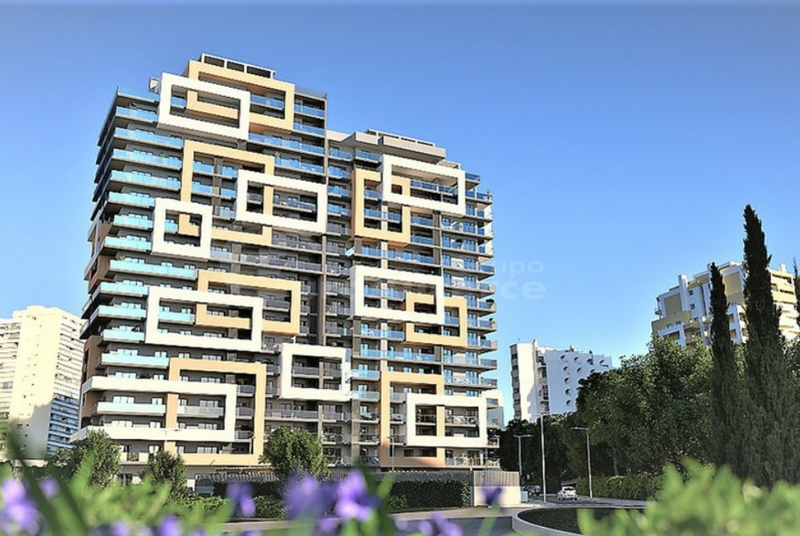 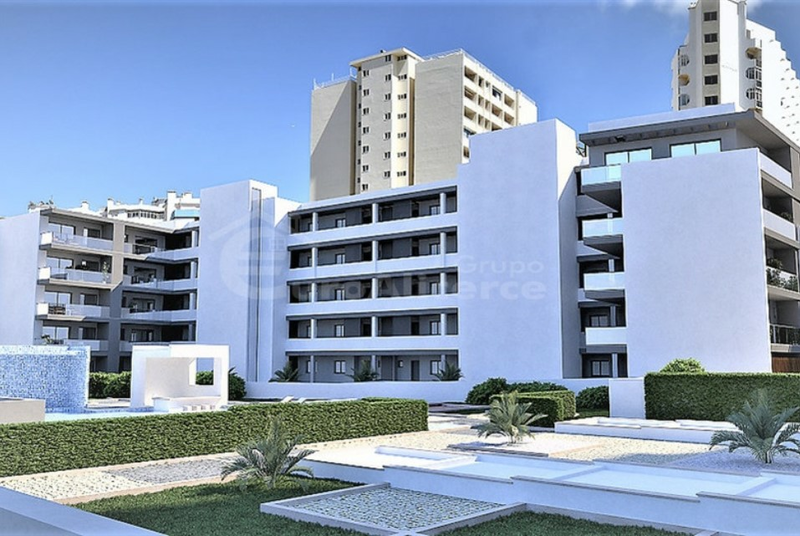 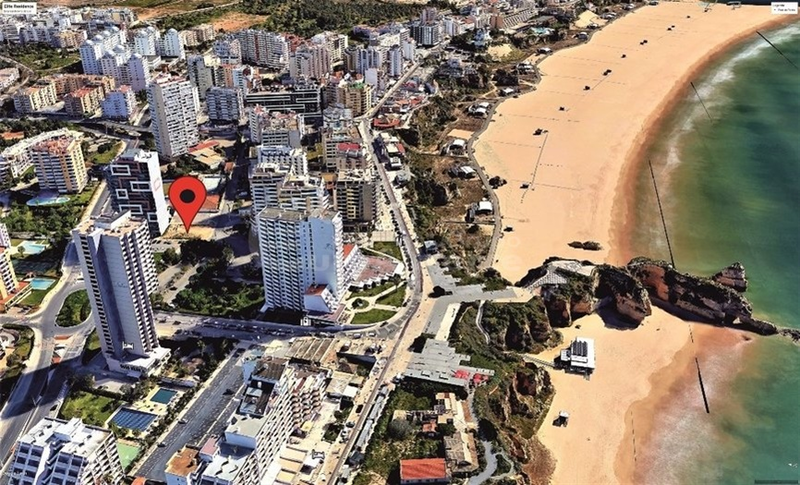 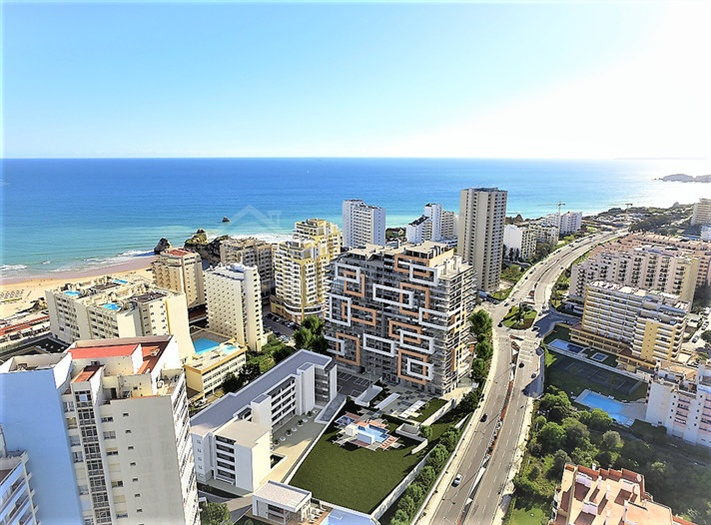 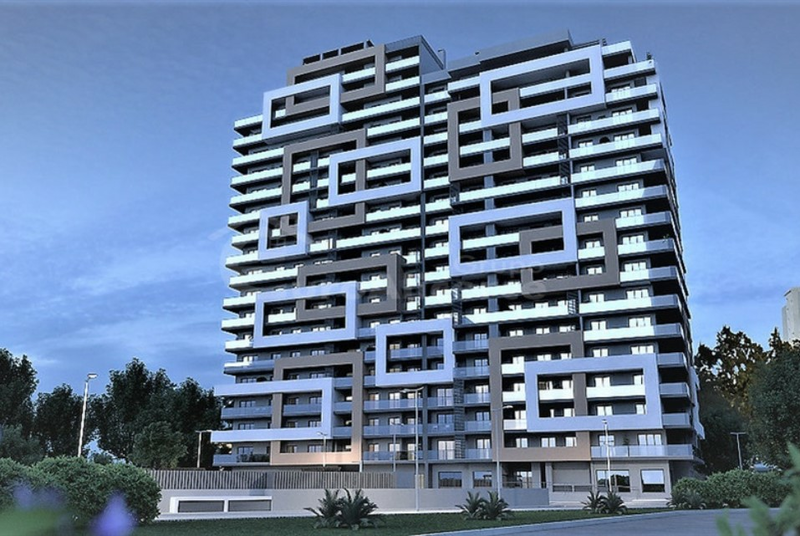 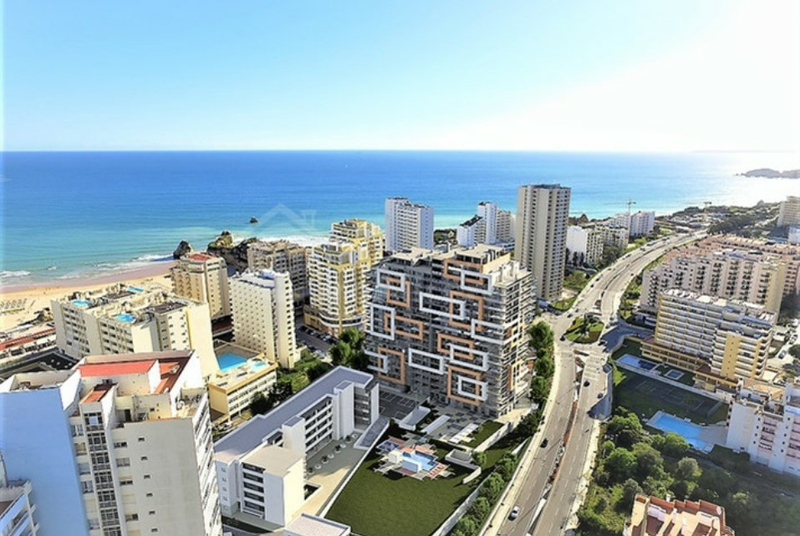 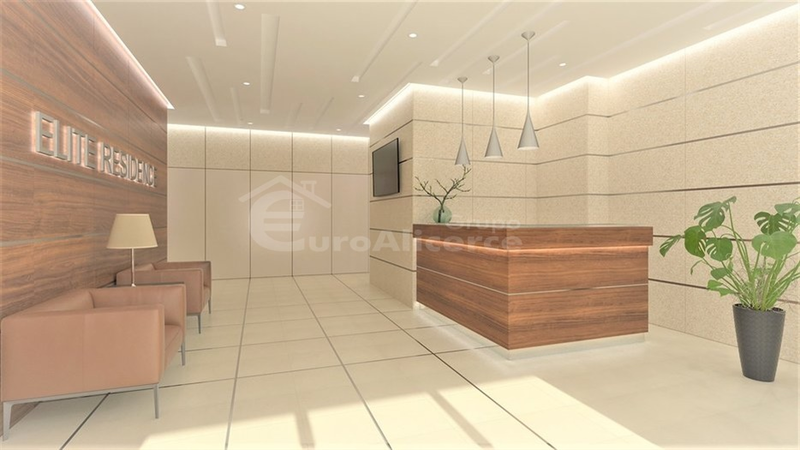 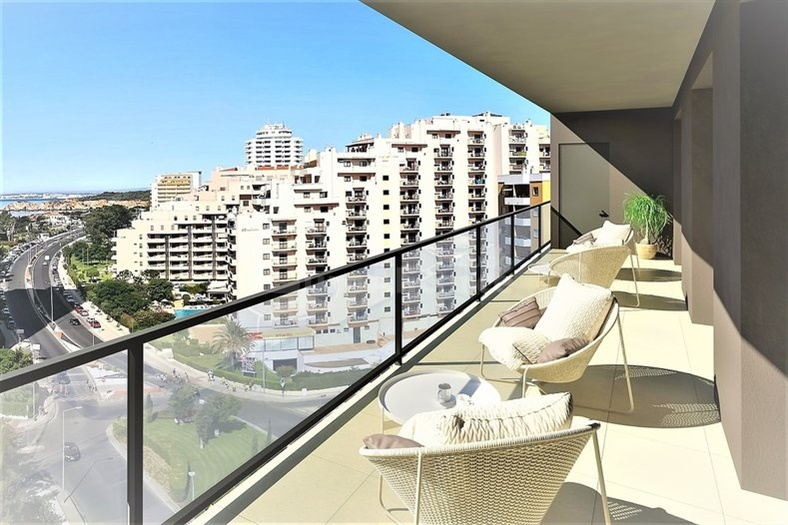 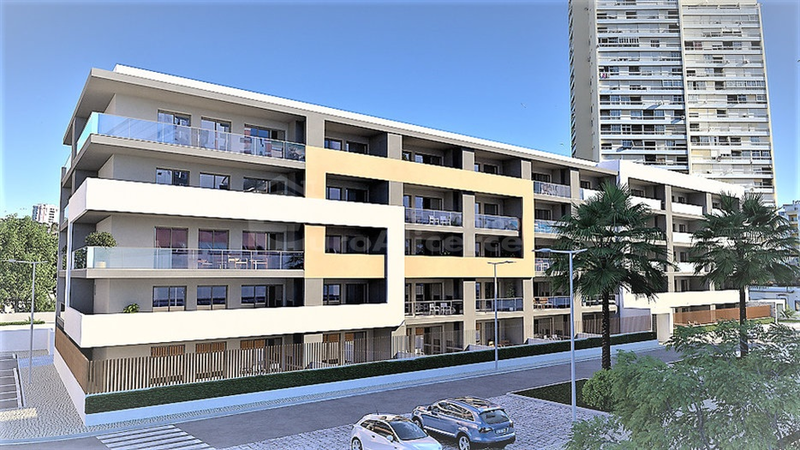 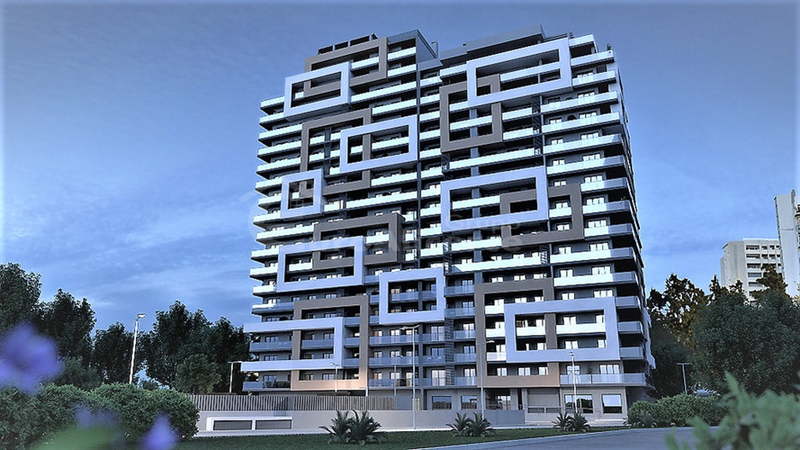 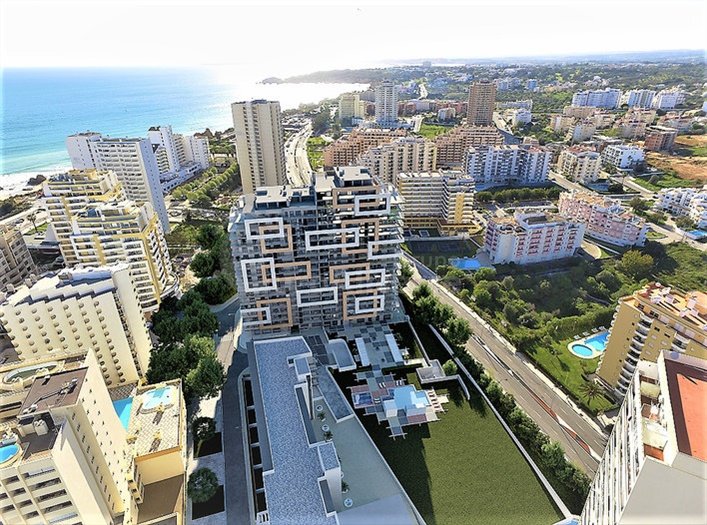 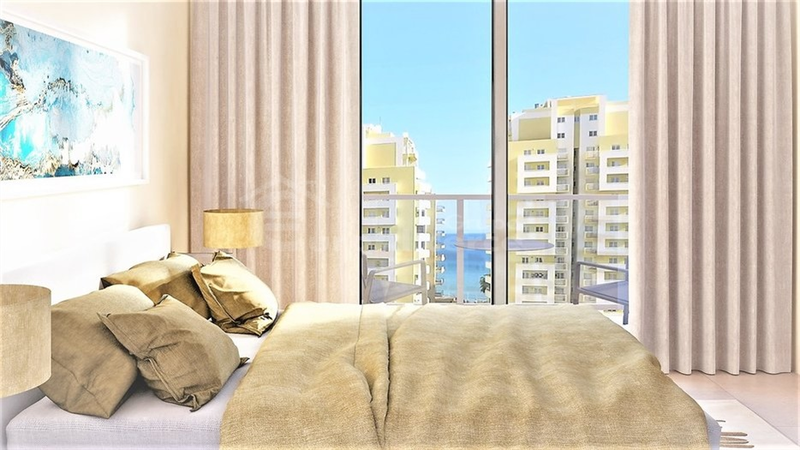 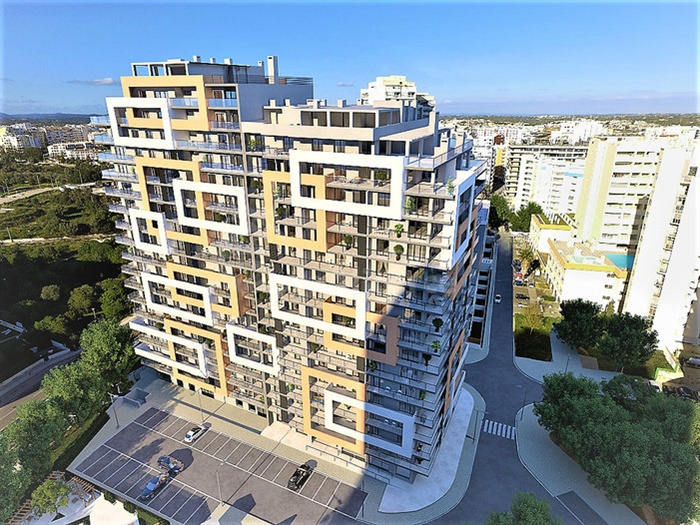 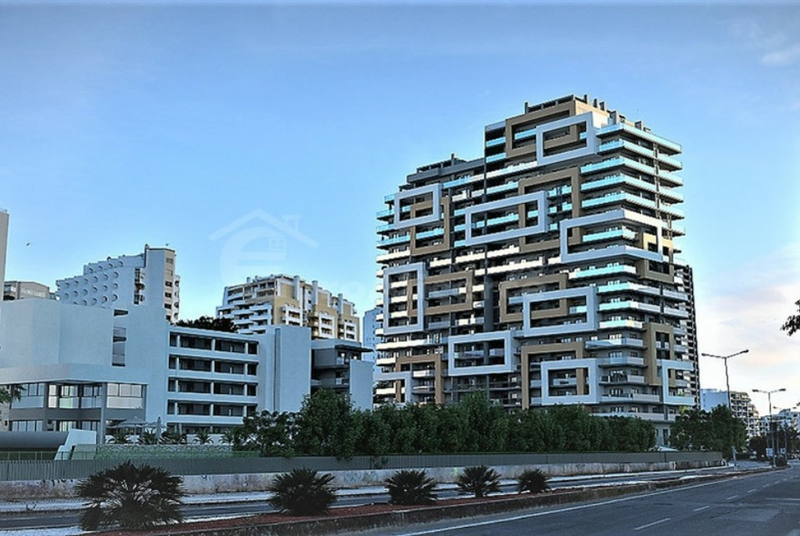 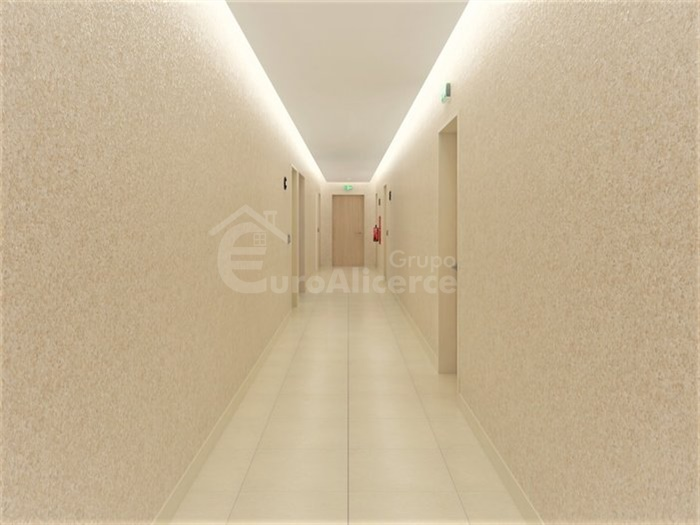 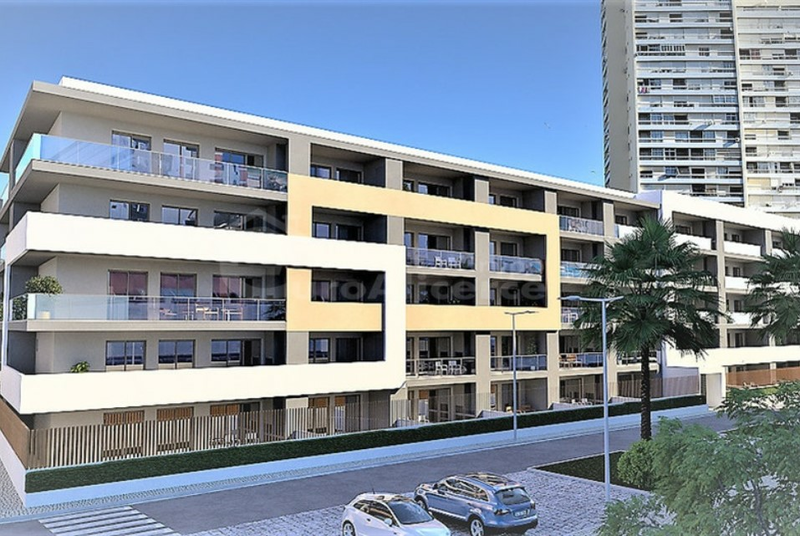 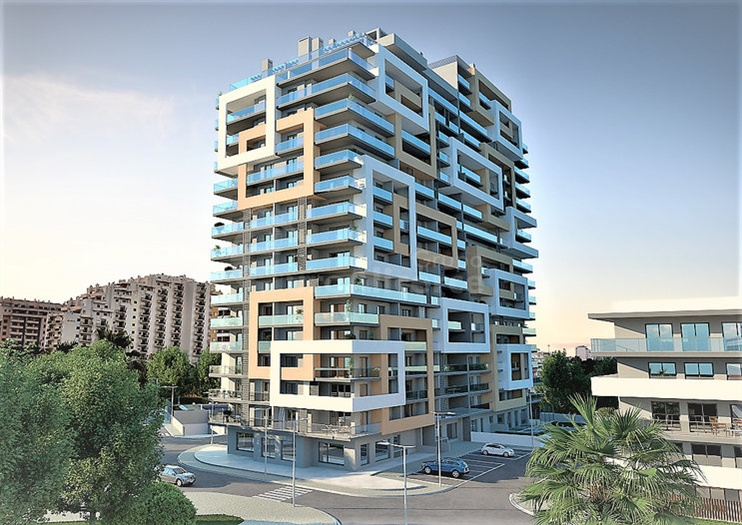 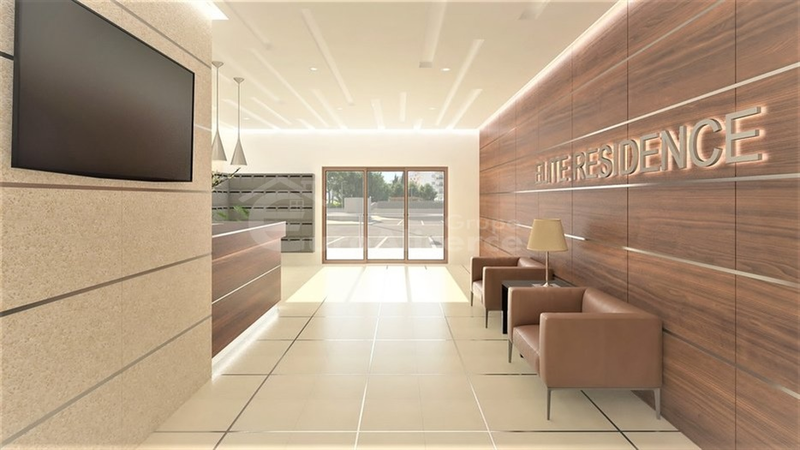 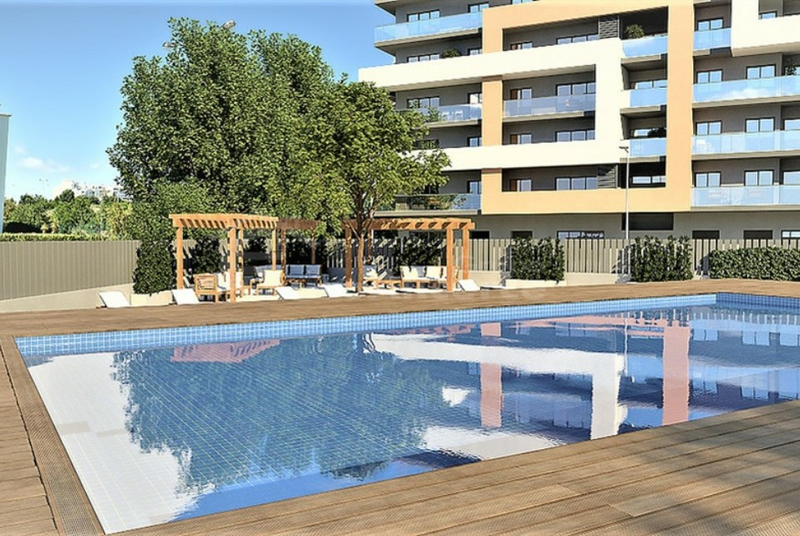 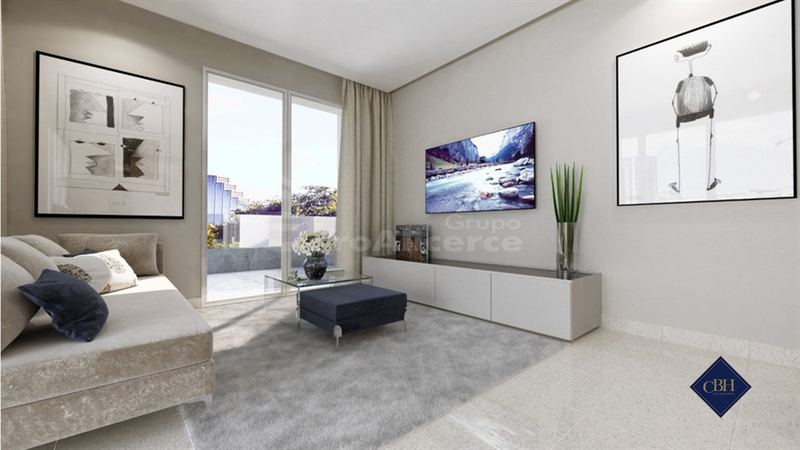 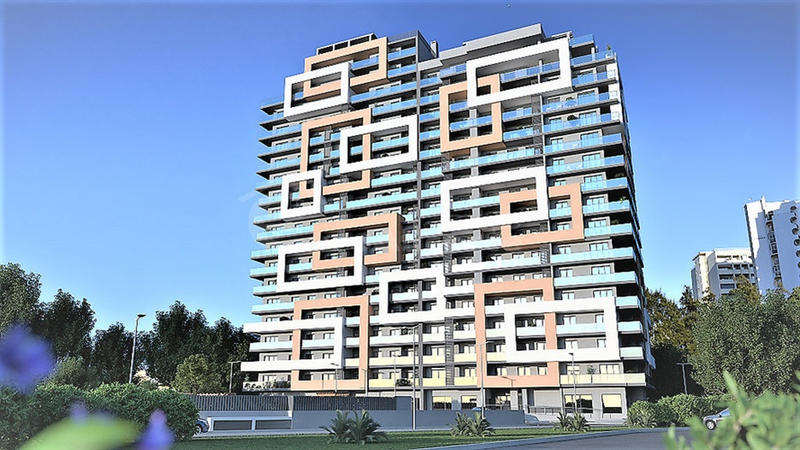 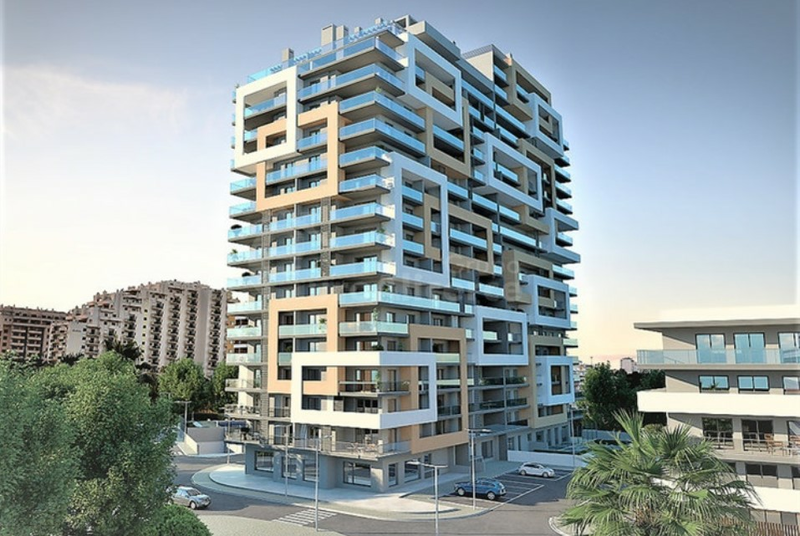 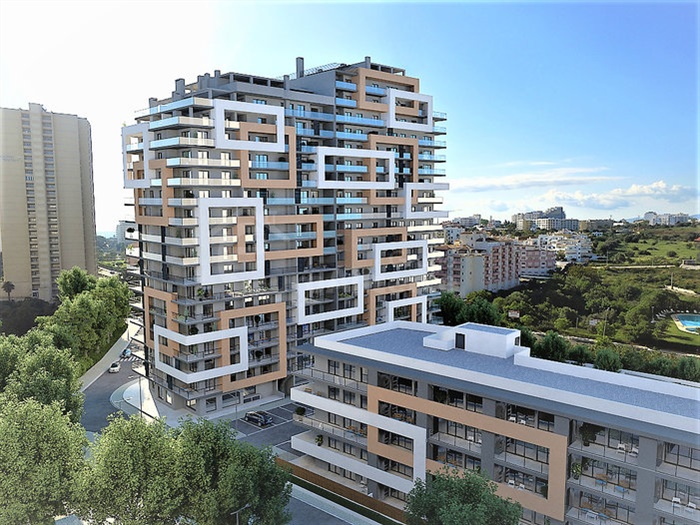 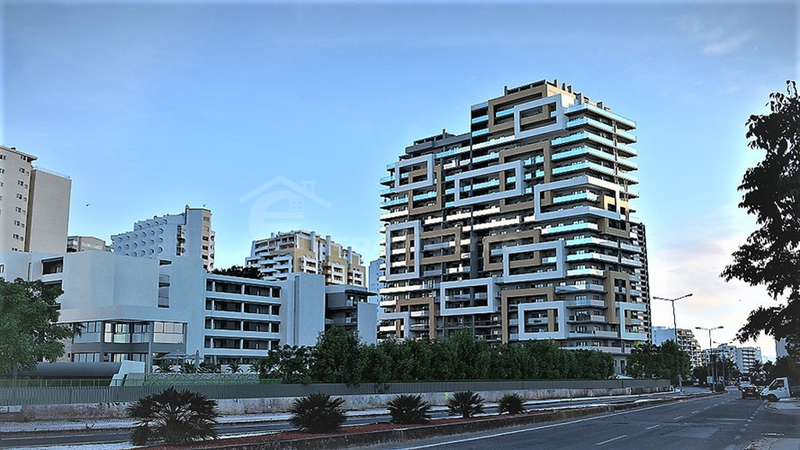 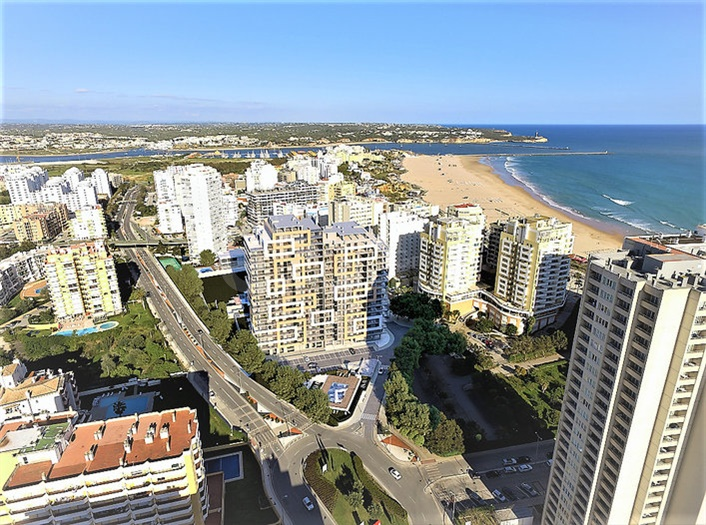 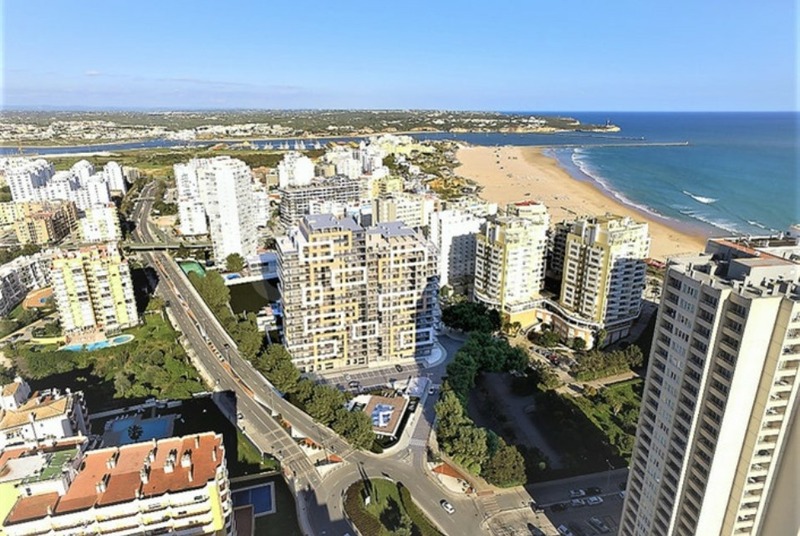 The building is a modern architecture of bold design and is located in the heart of Praia da Rocha in Portimão, Algarve, Portugal, less than 150 metres from the sea, a luxurious location between Marina de Portimão and Alvor village. 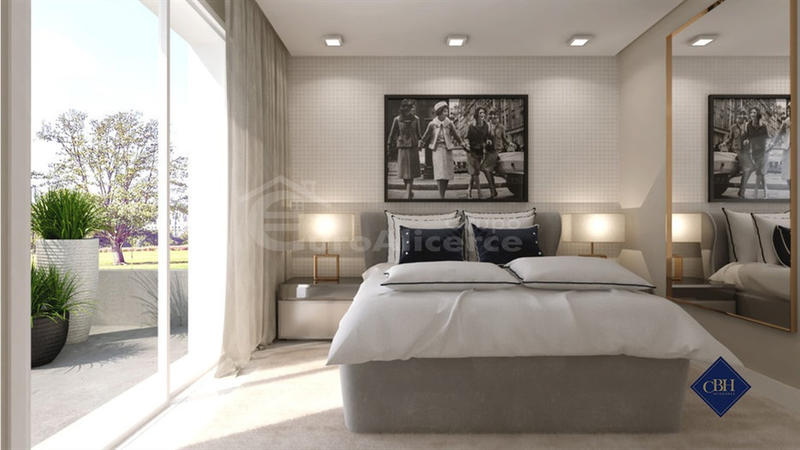 A unique space to live, vacation and enjoy the tranquility that is offered. 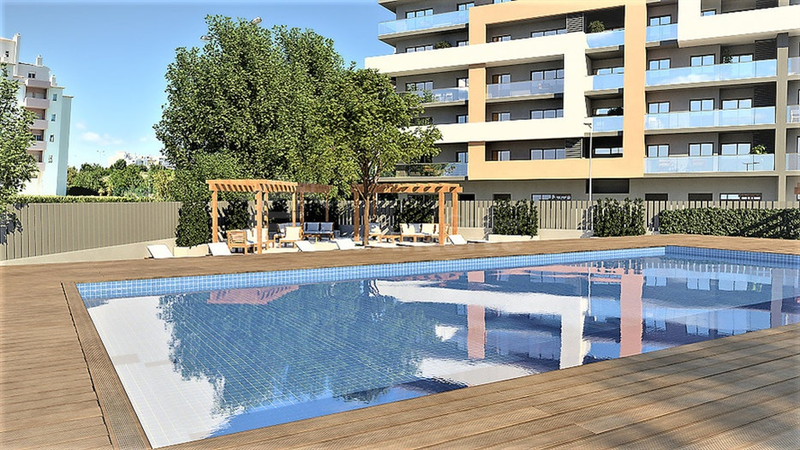 The building has a use of a spectacular garden and swimming pool. 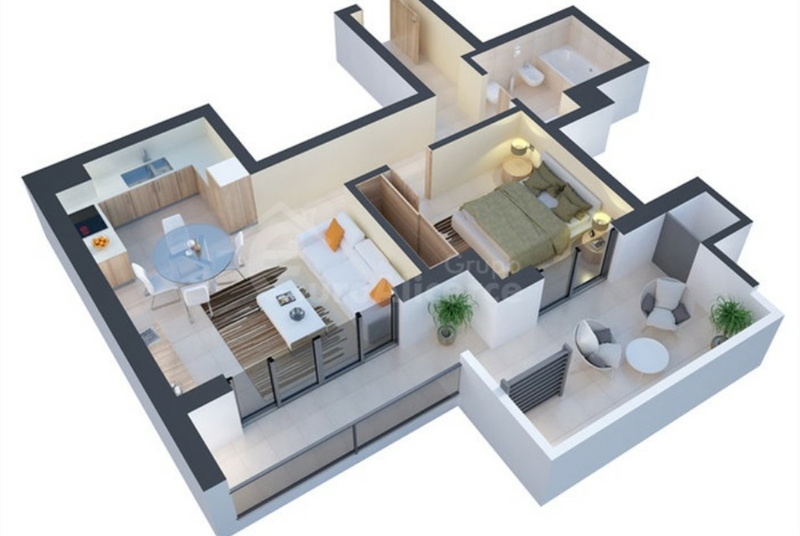 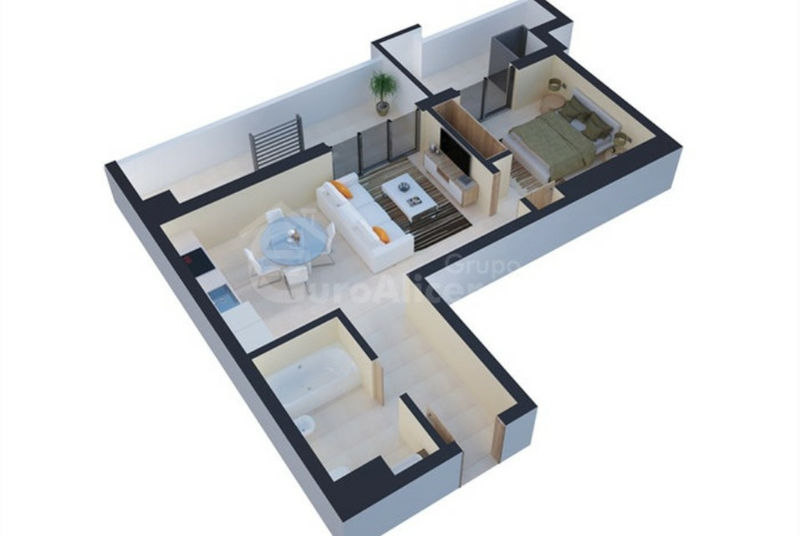 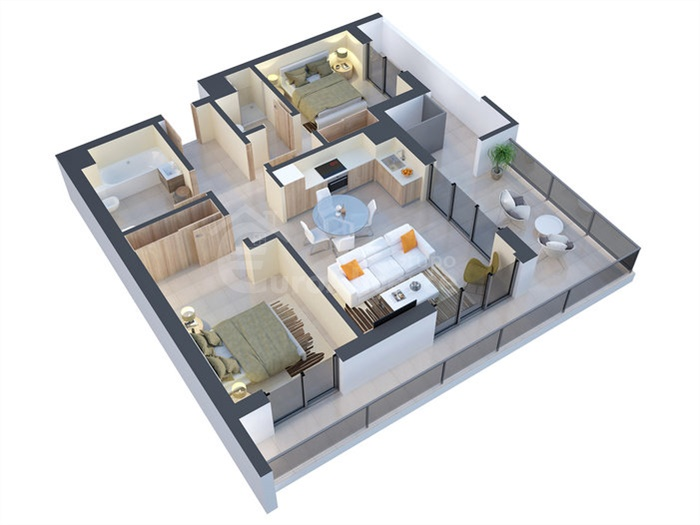 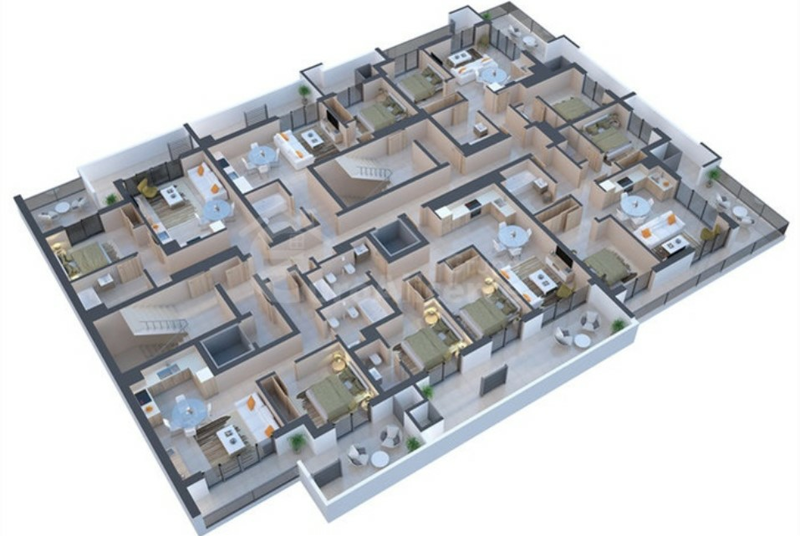 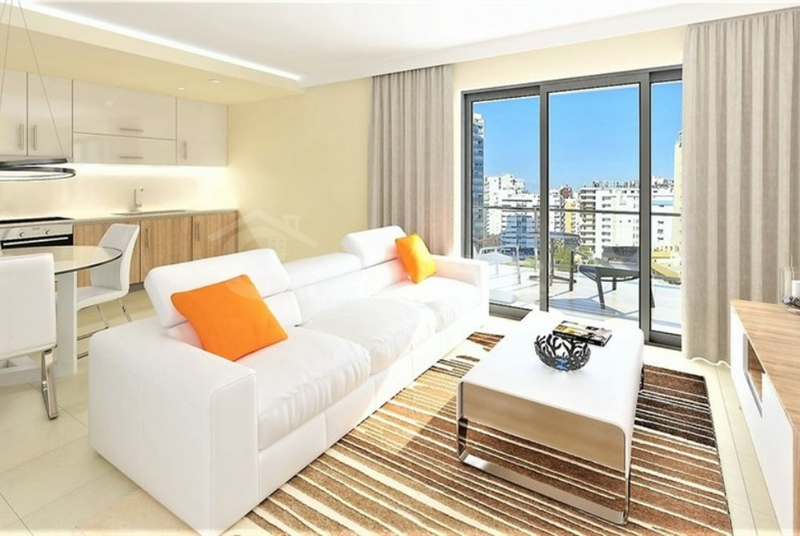 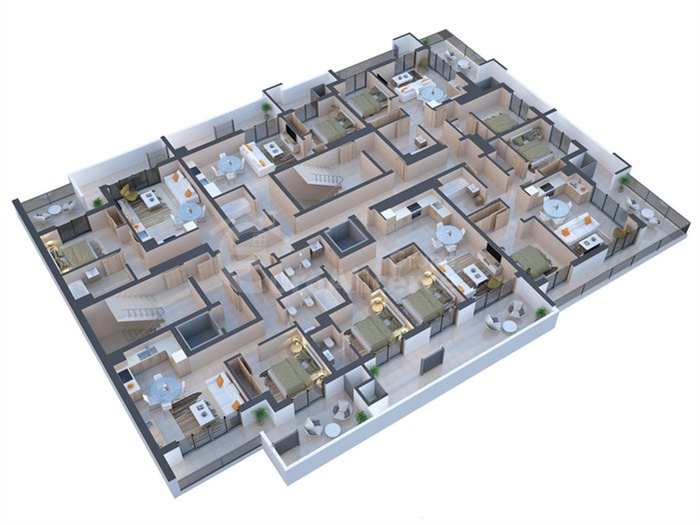 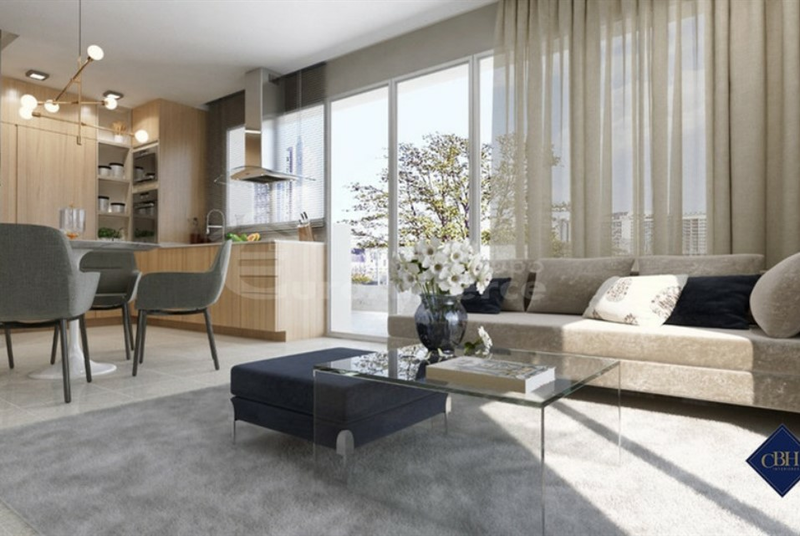 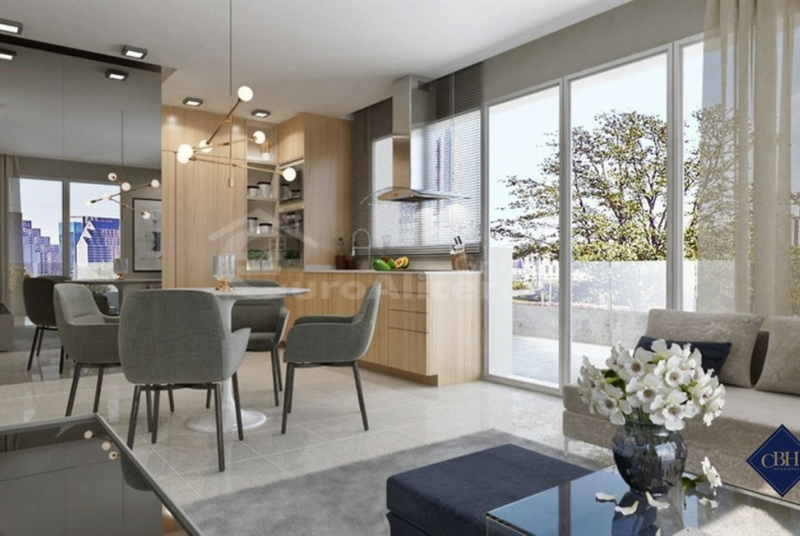 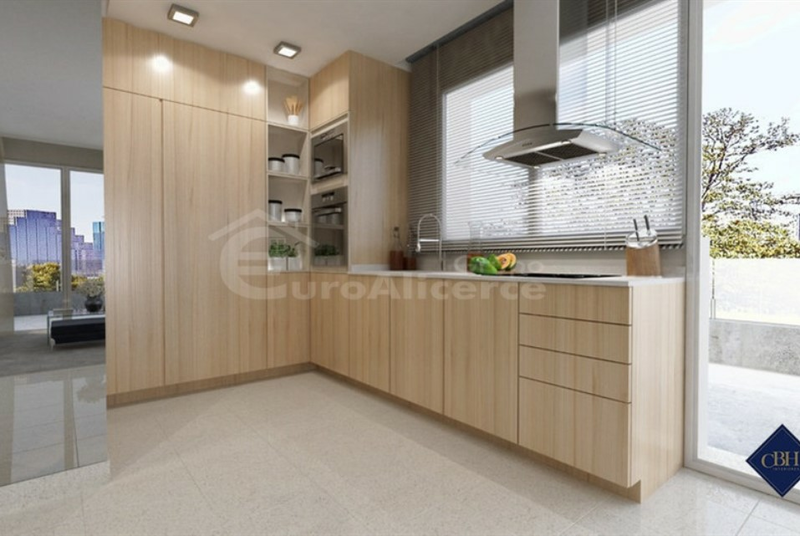 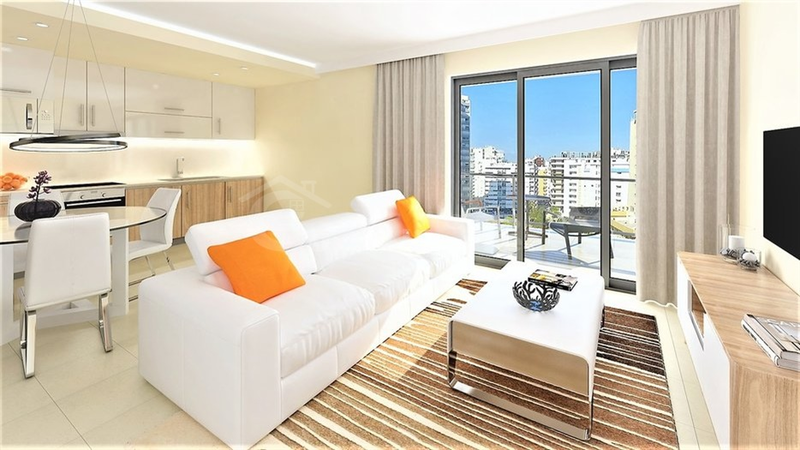 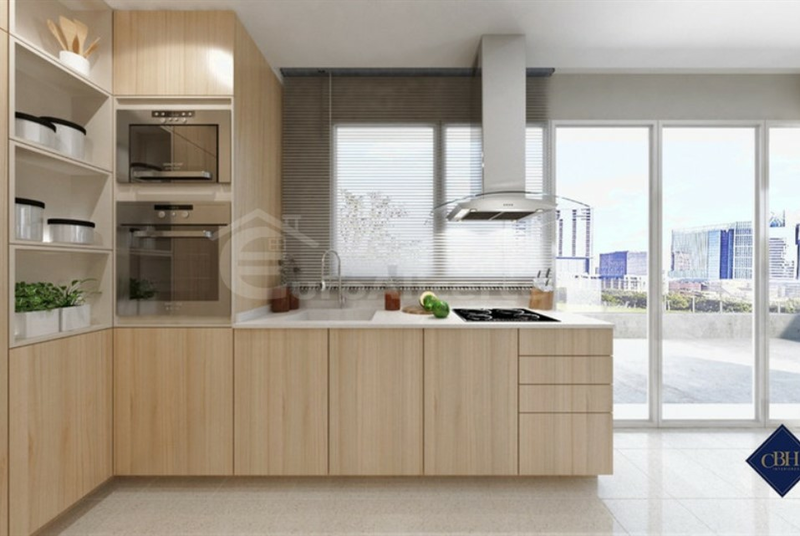 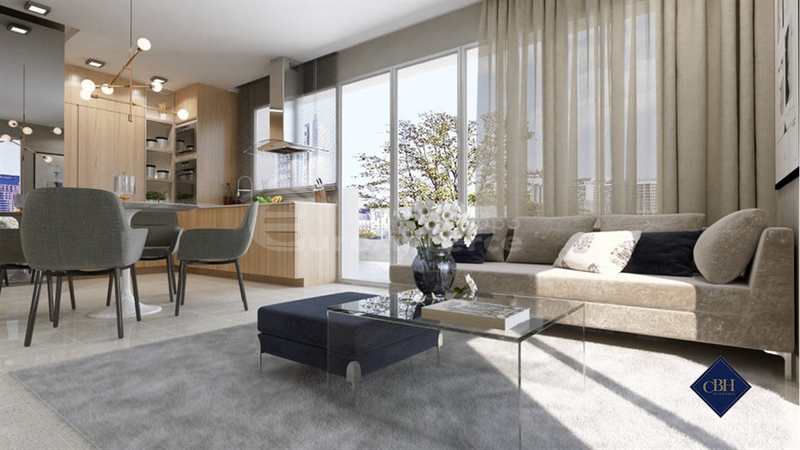 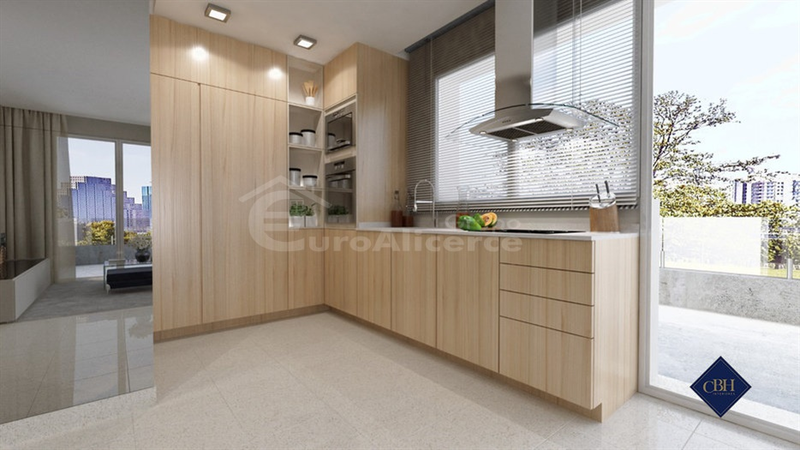 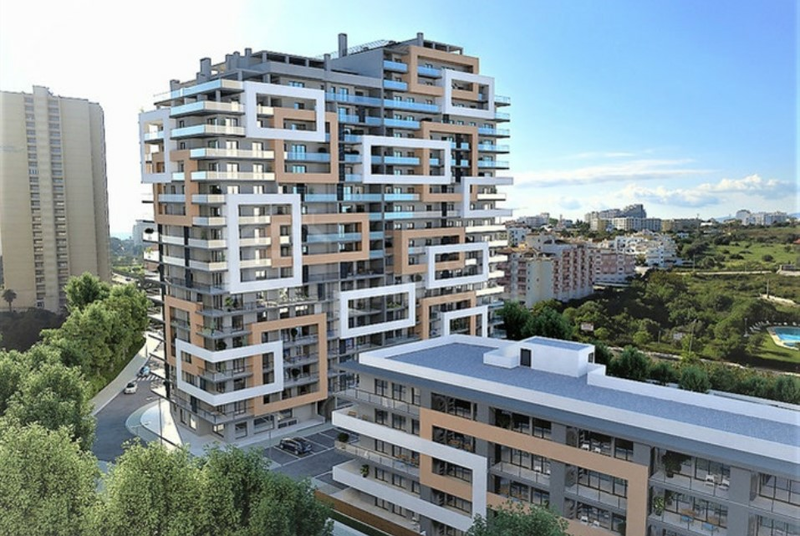 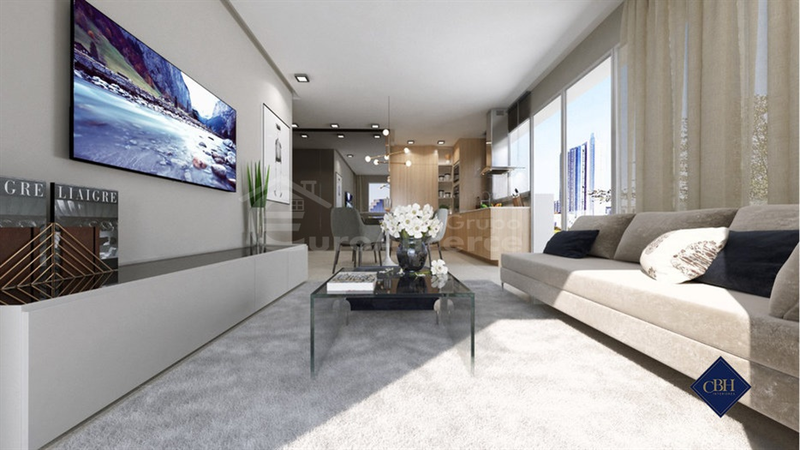 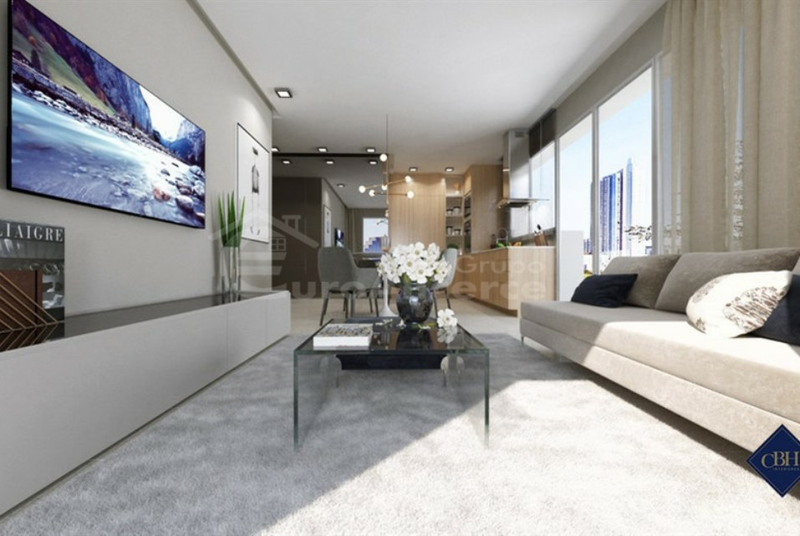 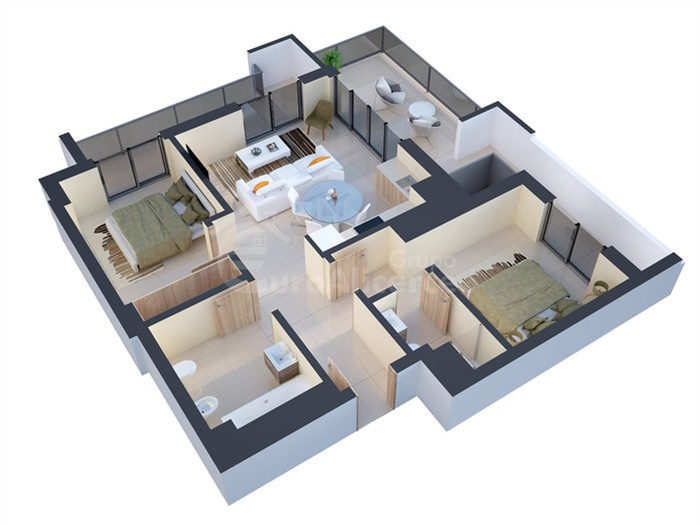 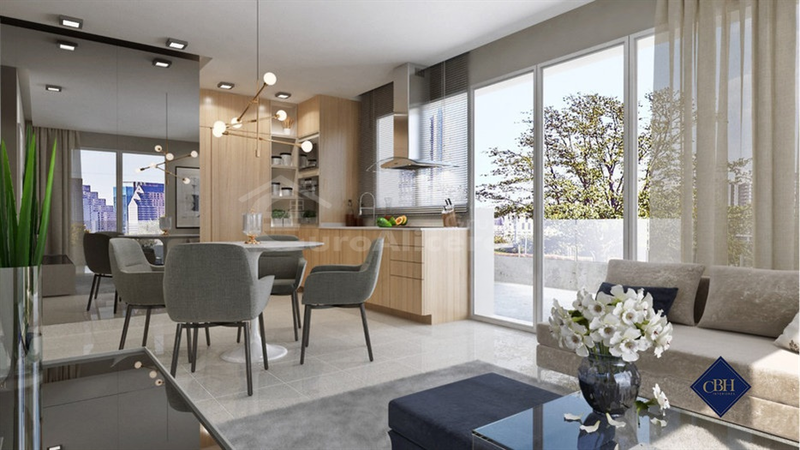 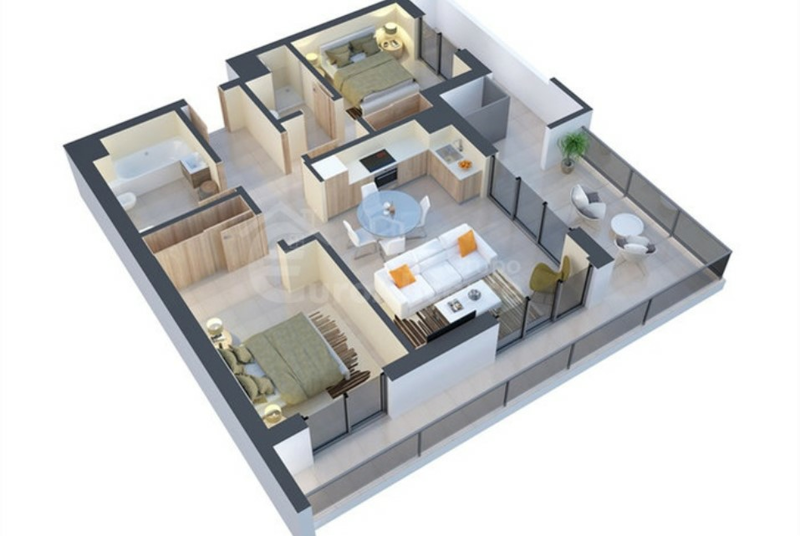 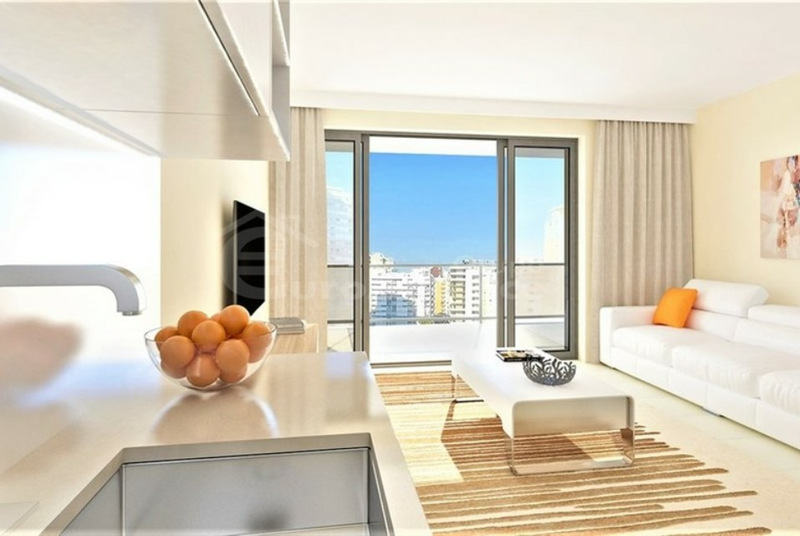 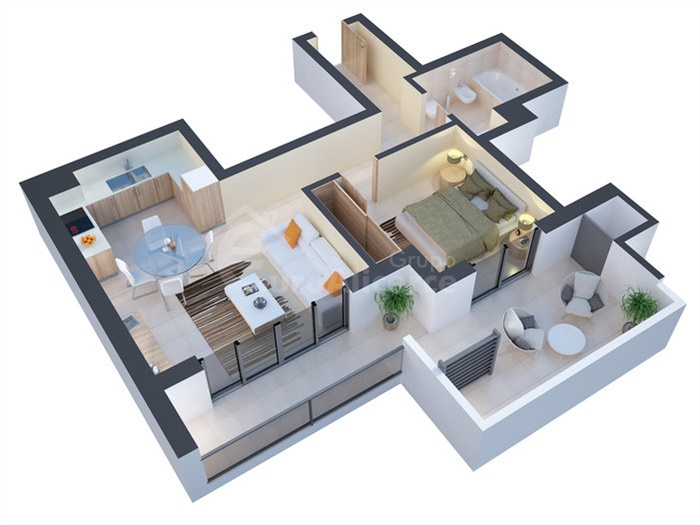 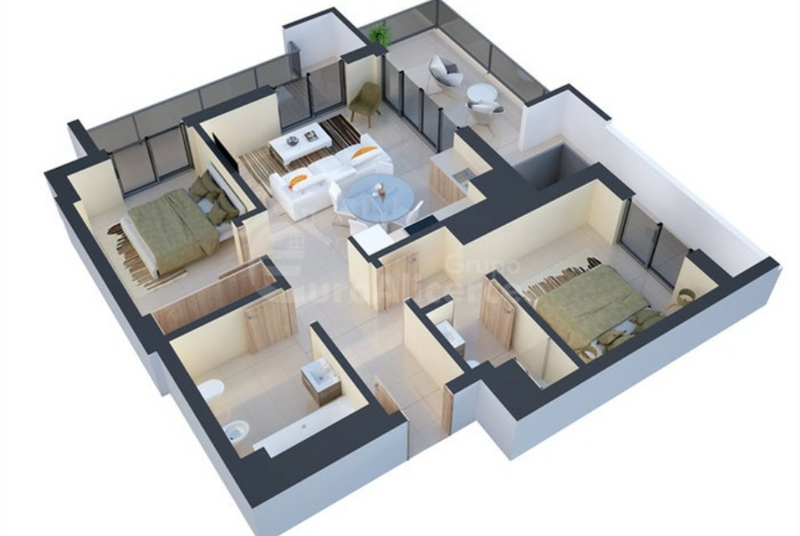 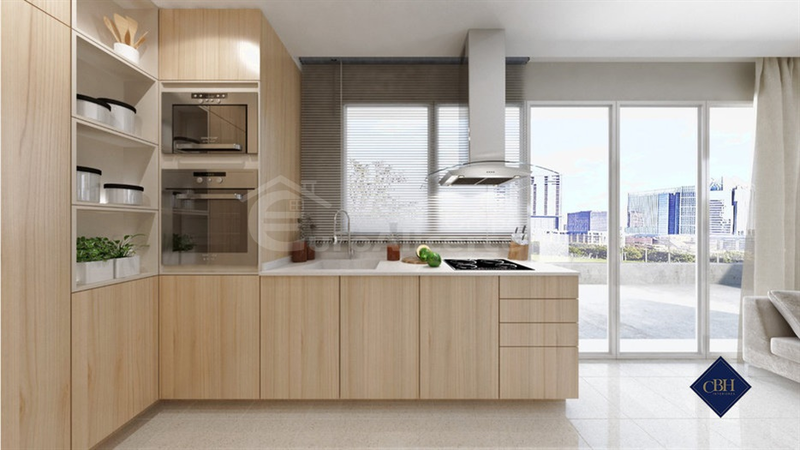 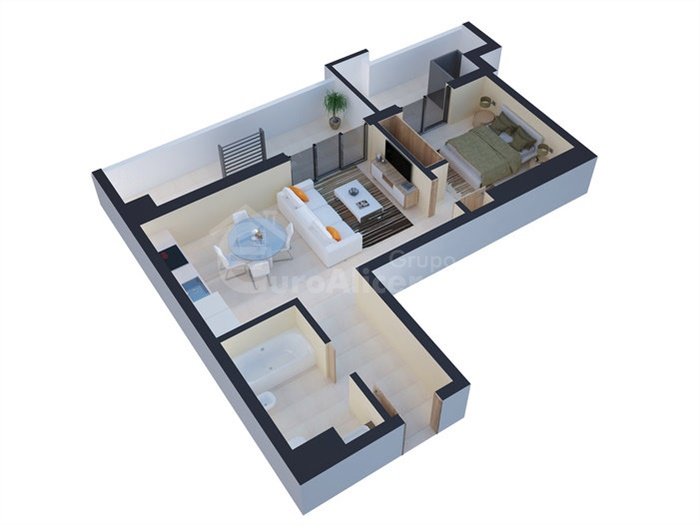 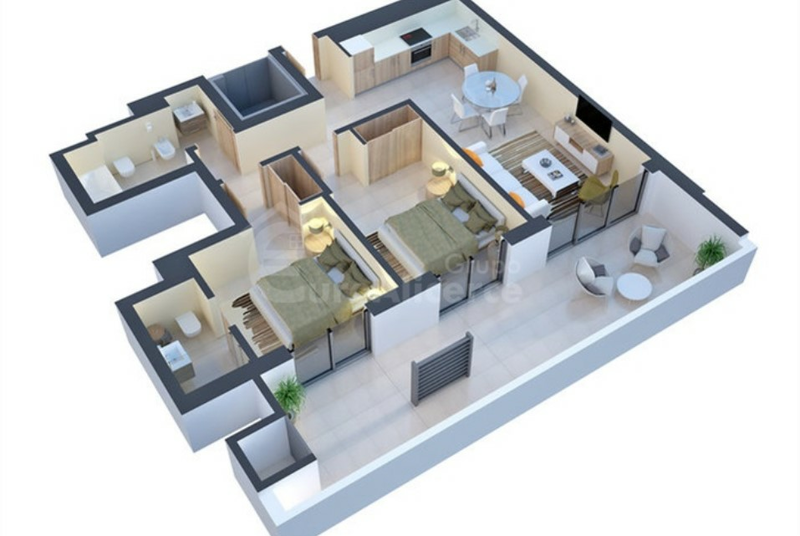 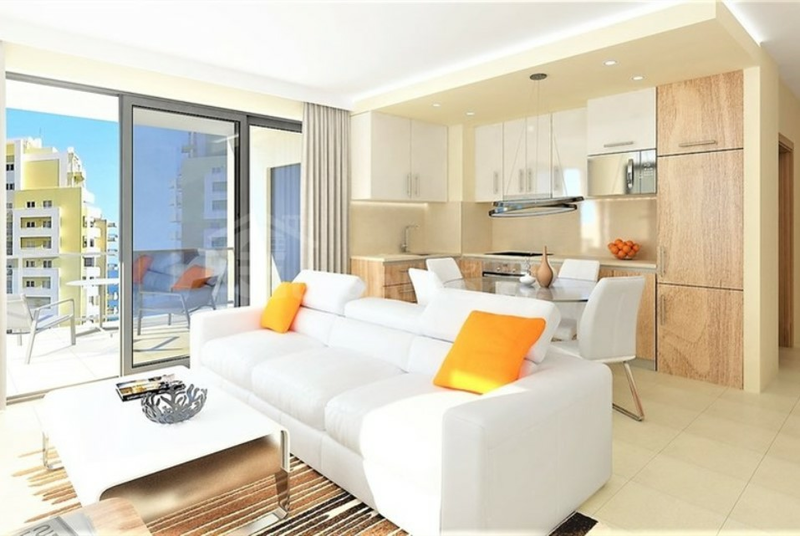 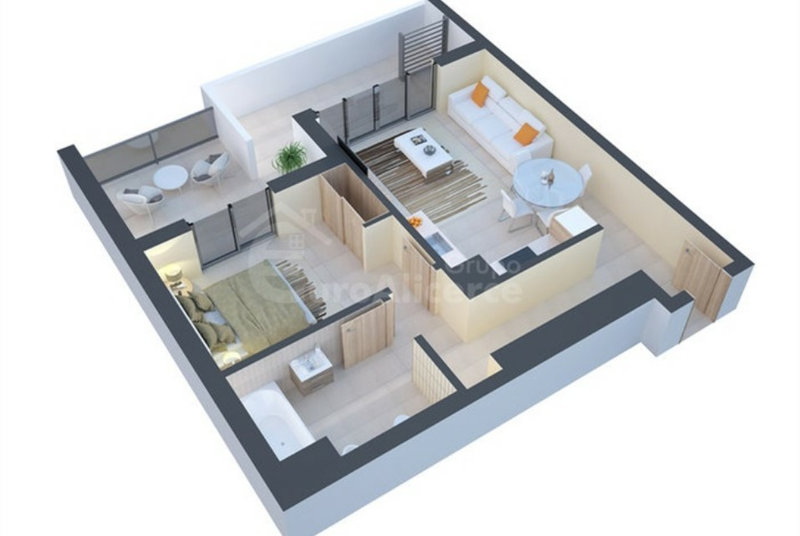 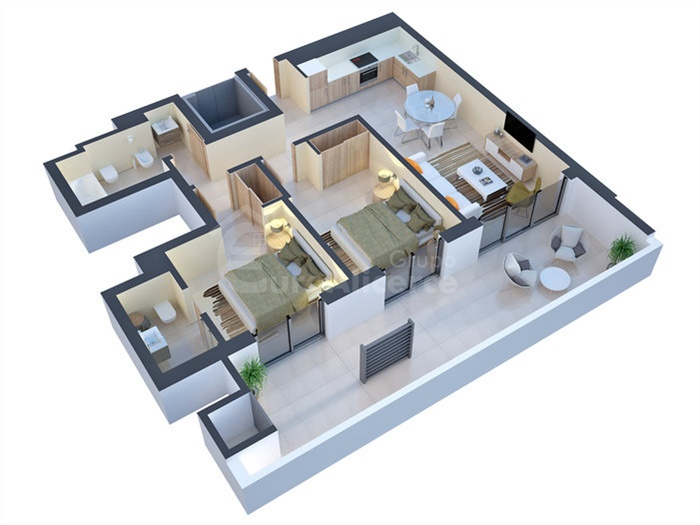 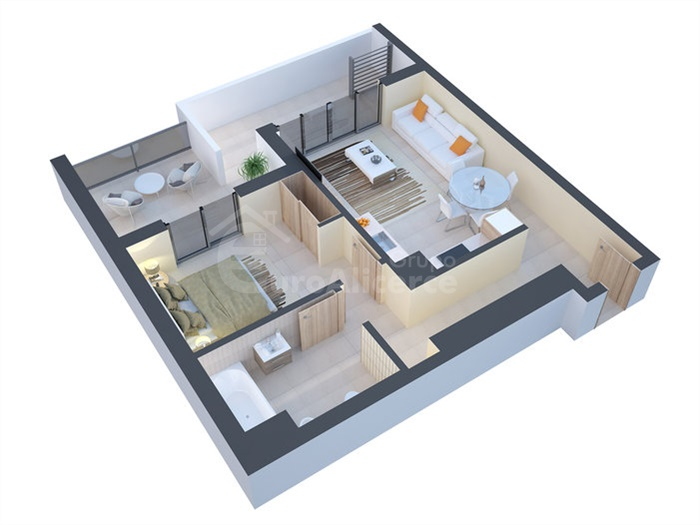 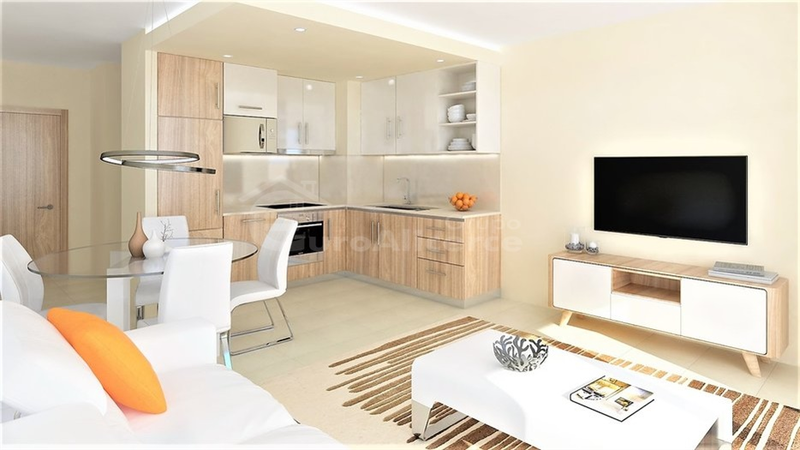 The apartment consists with kitchen, living room, 2 bedrooms, 2 bathrooms, 1 en suite and balconies. 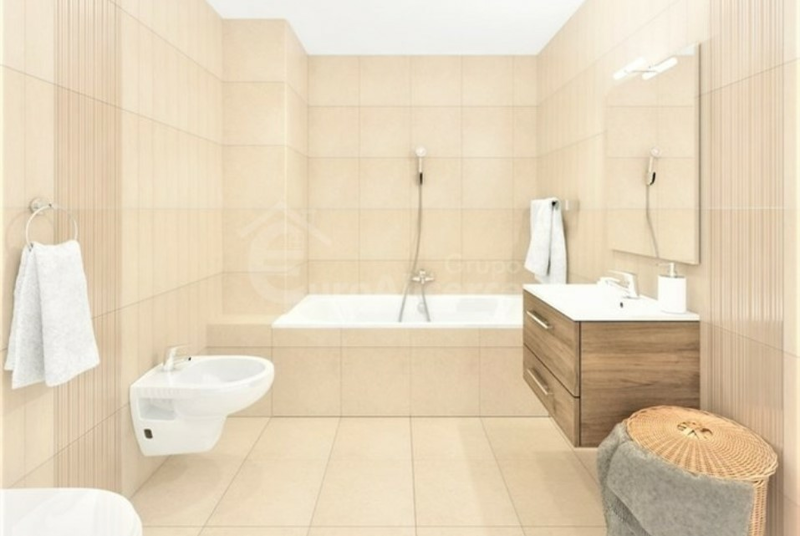 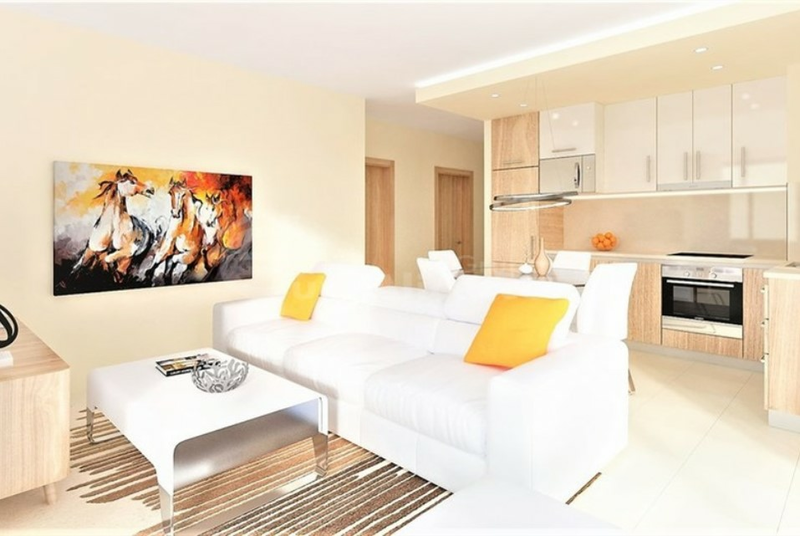 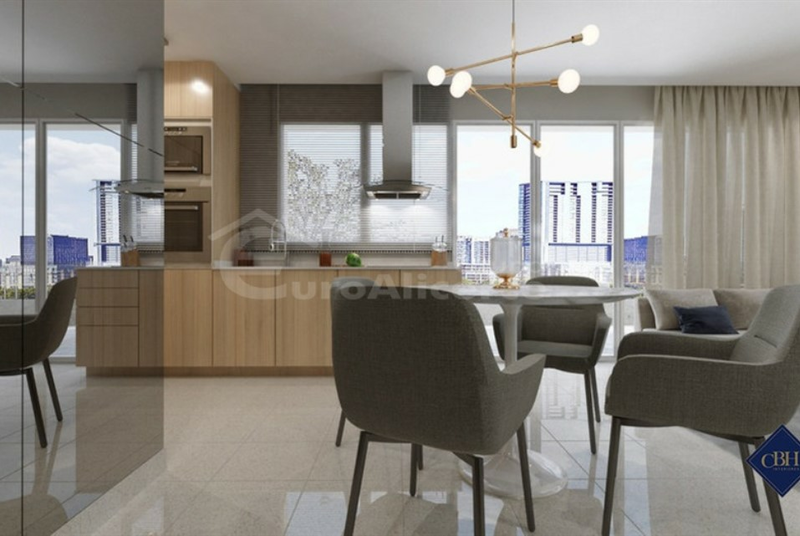 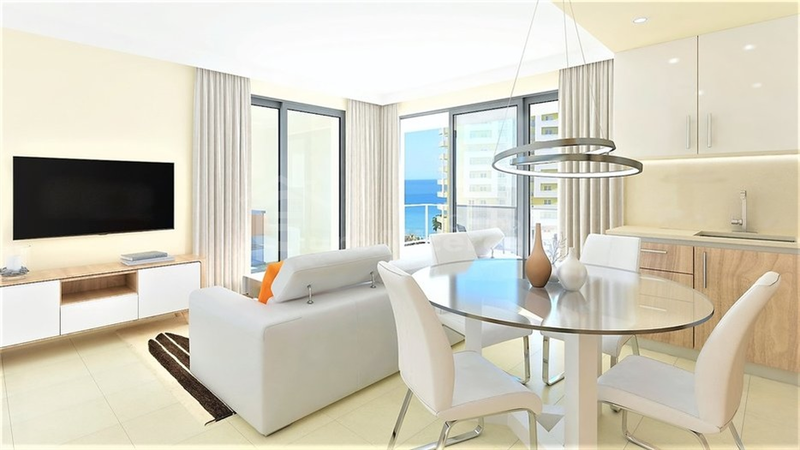 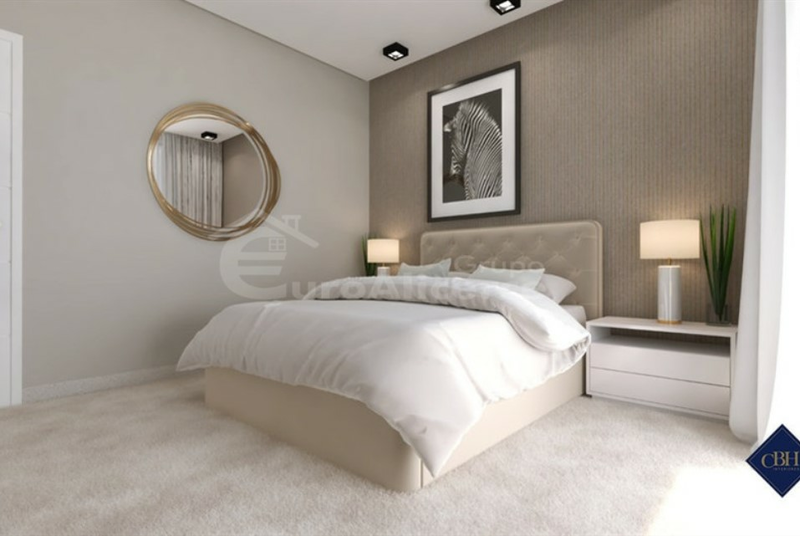 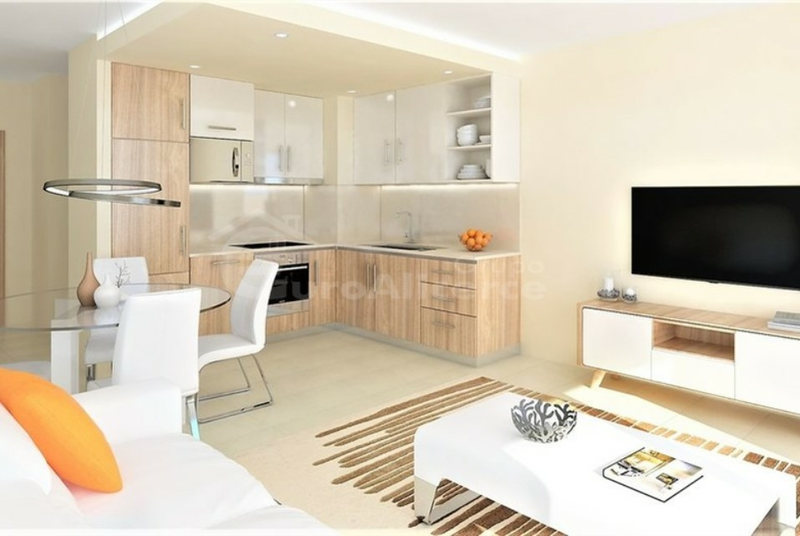 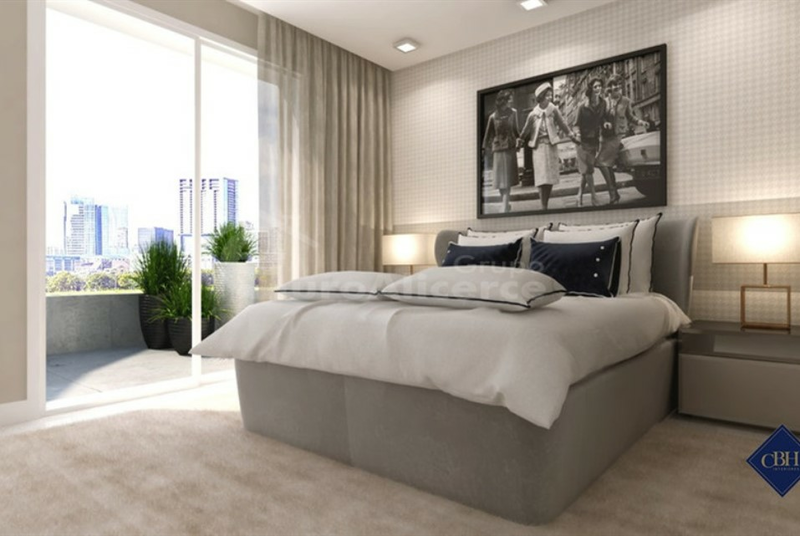 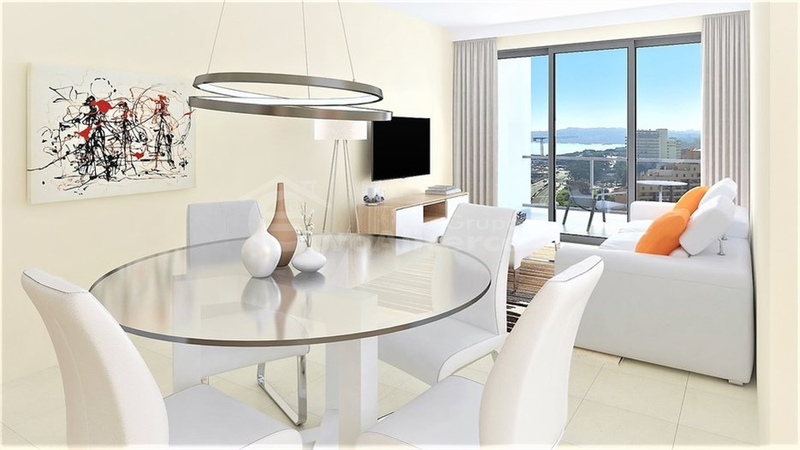 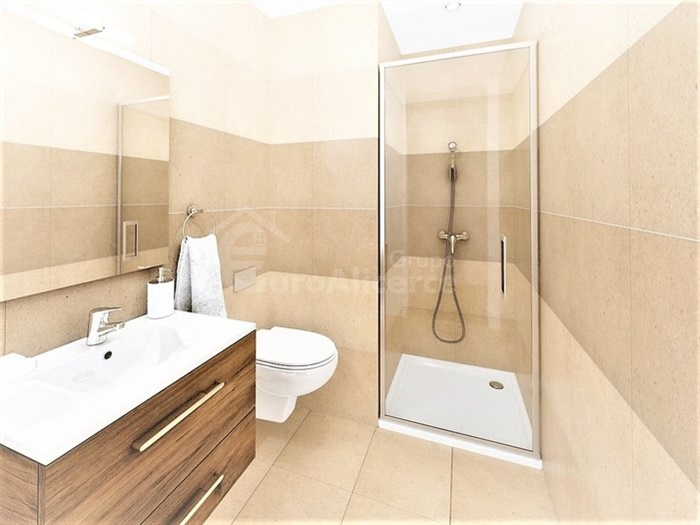 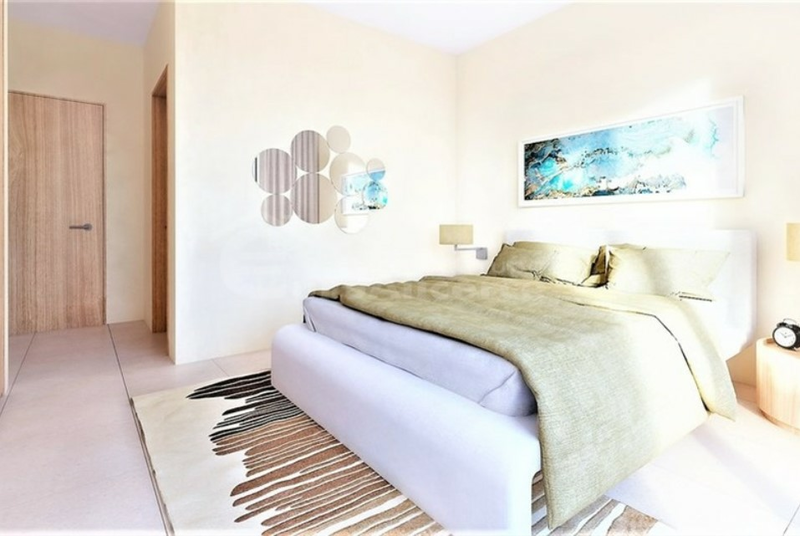 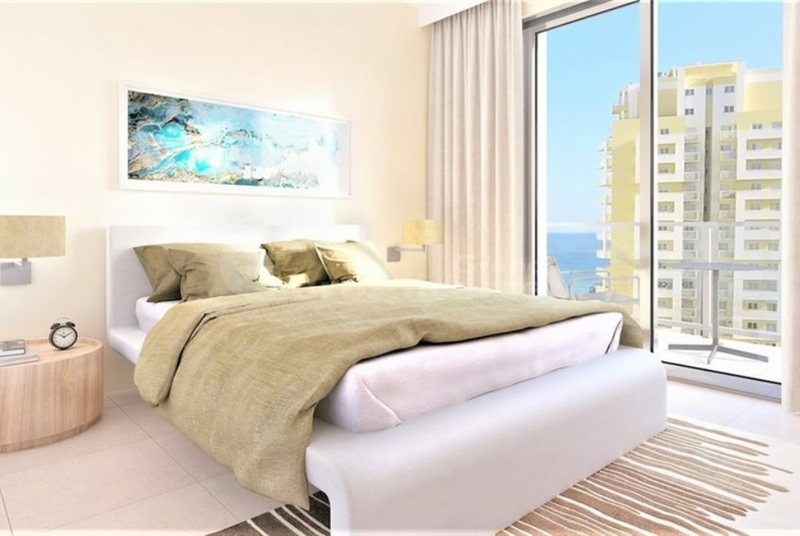 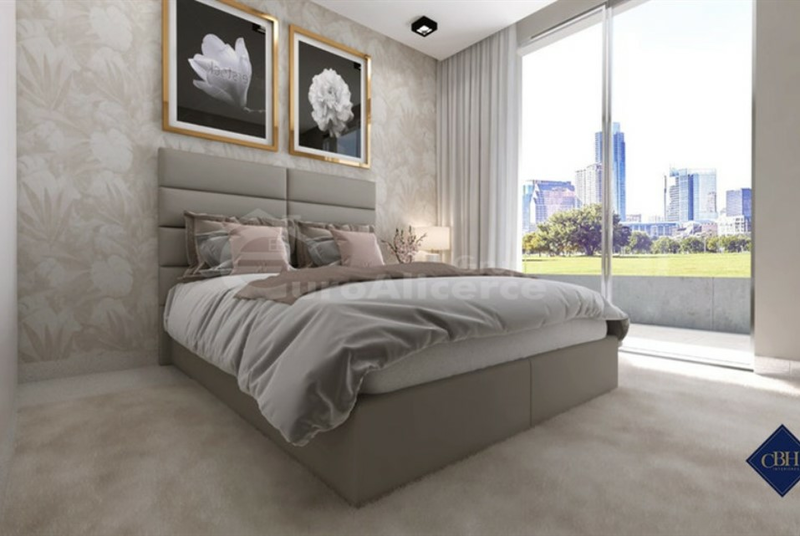 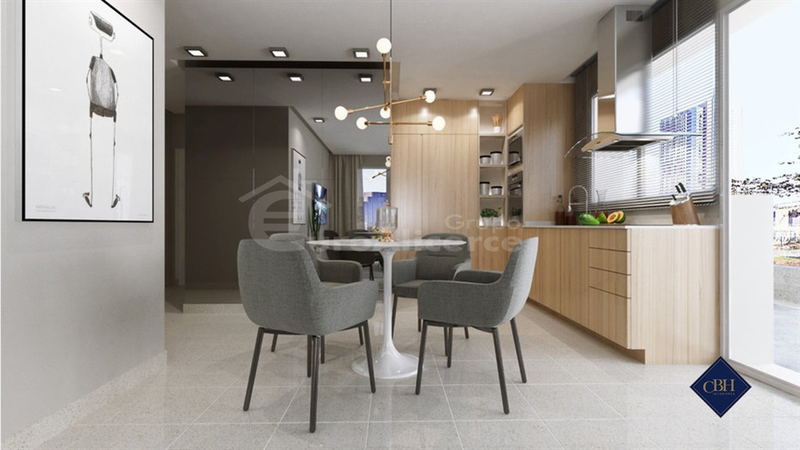 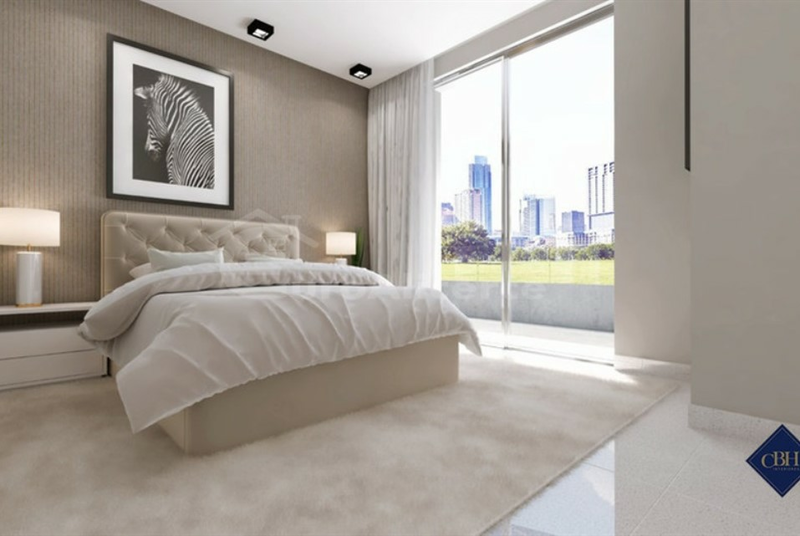 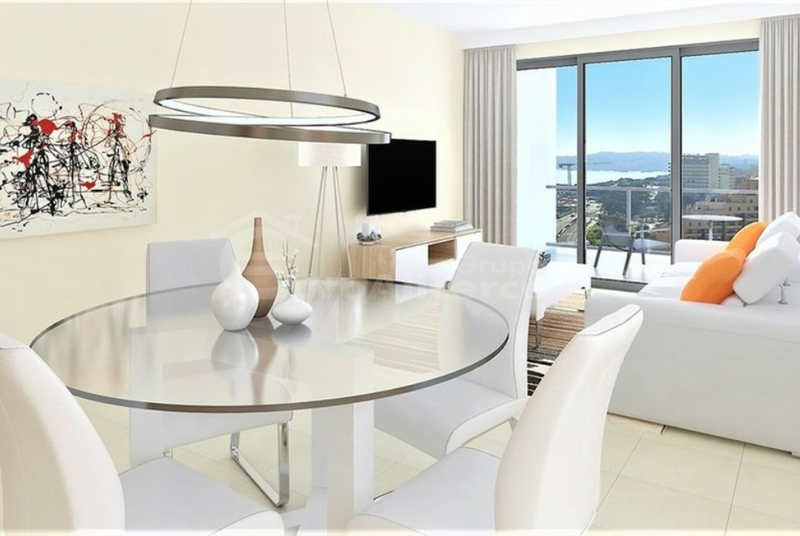 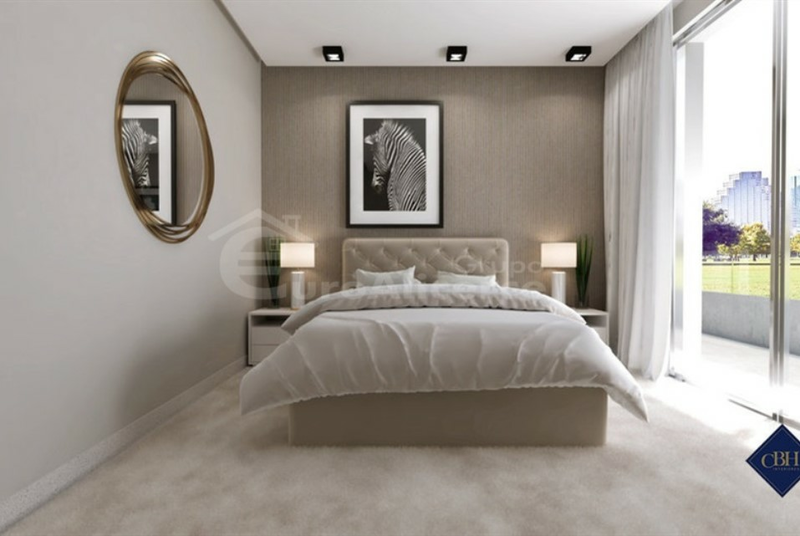 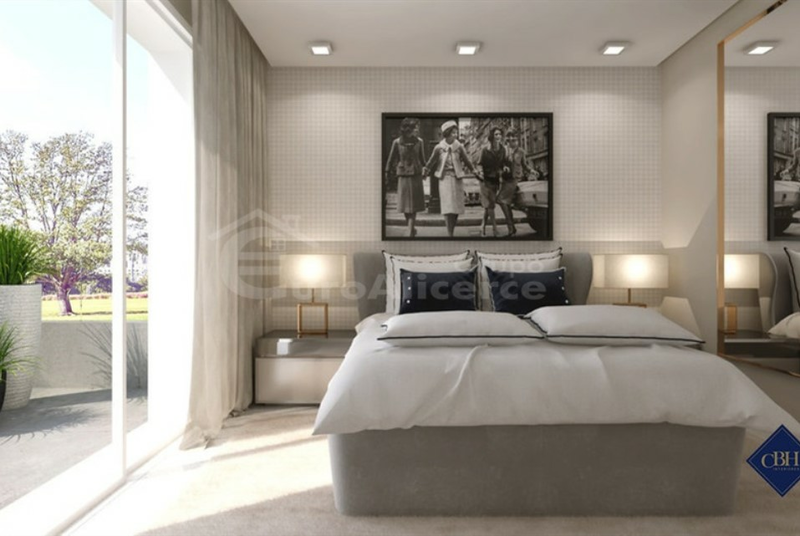 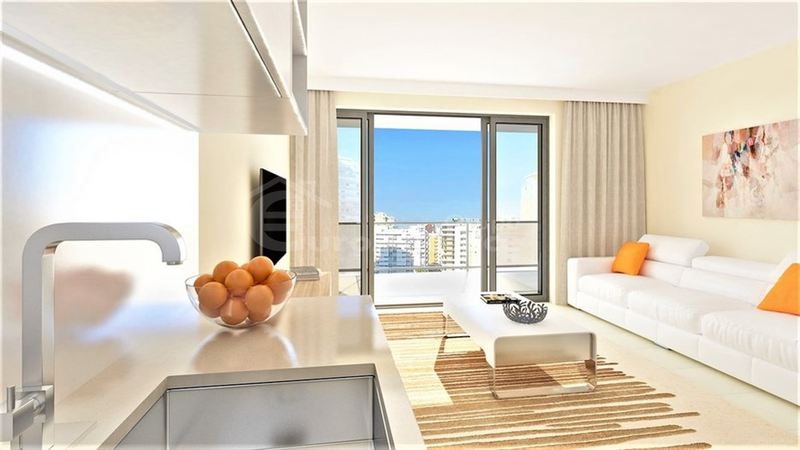 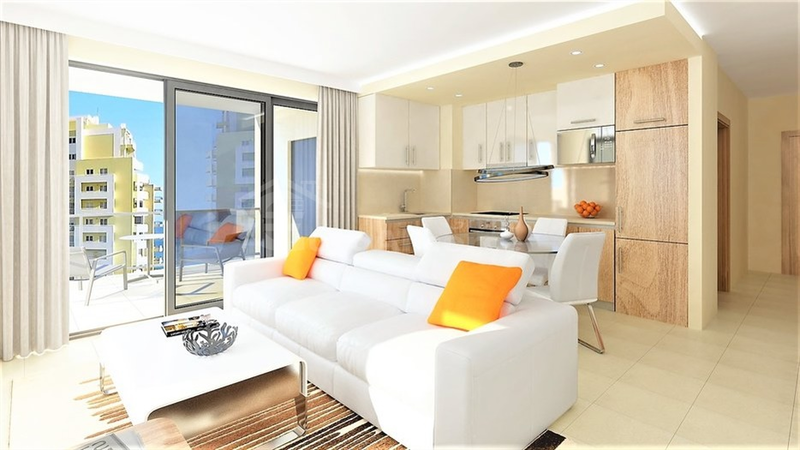 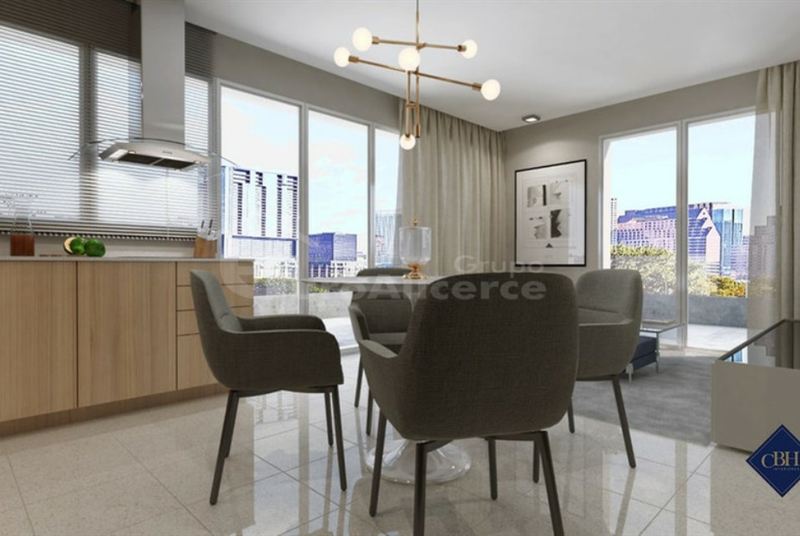 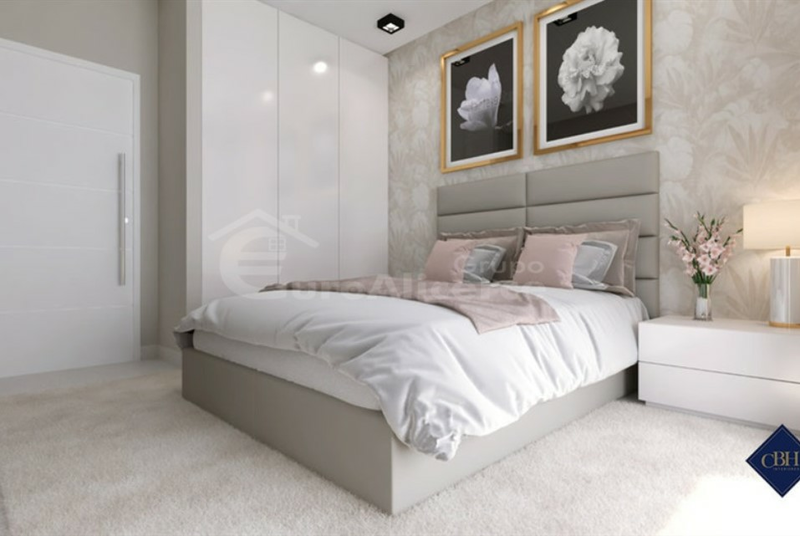 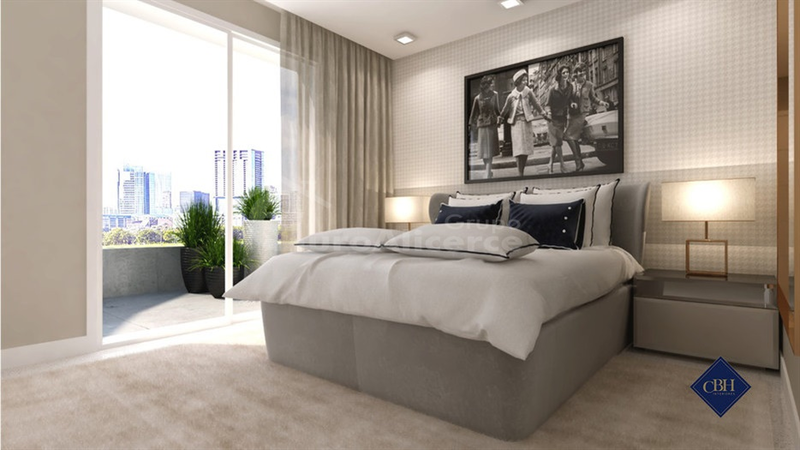 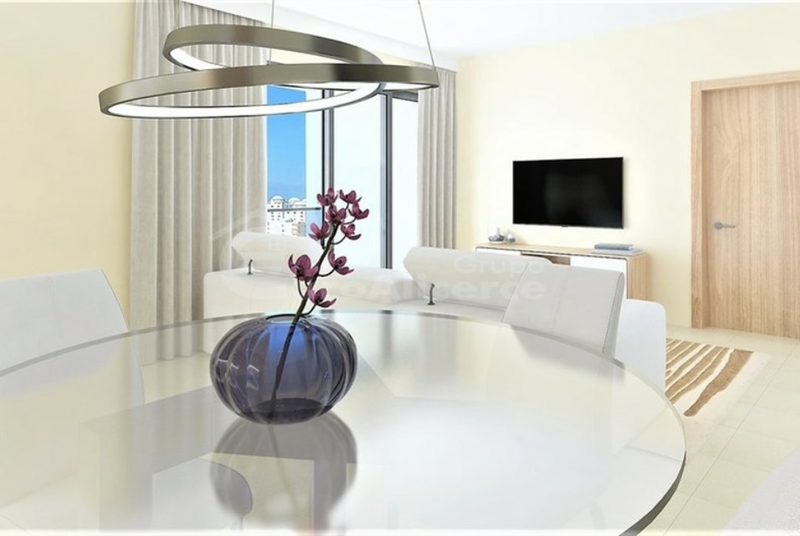 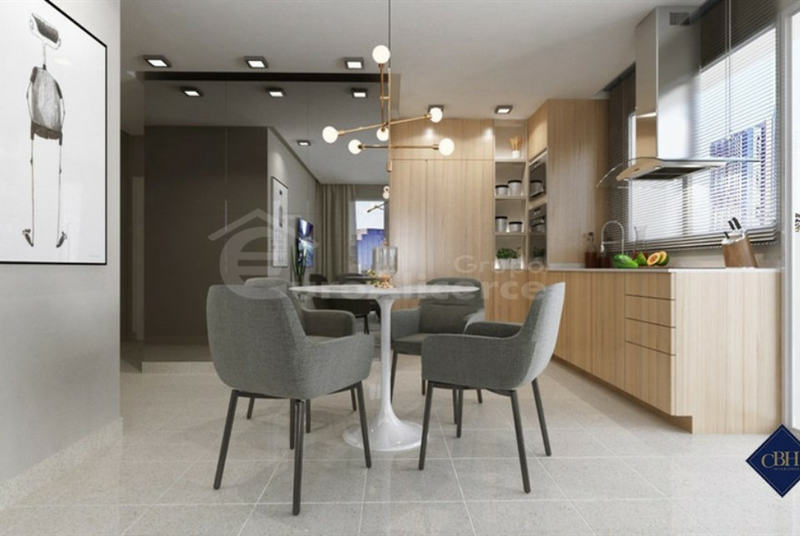 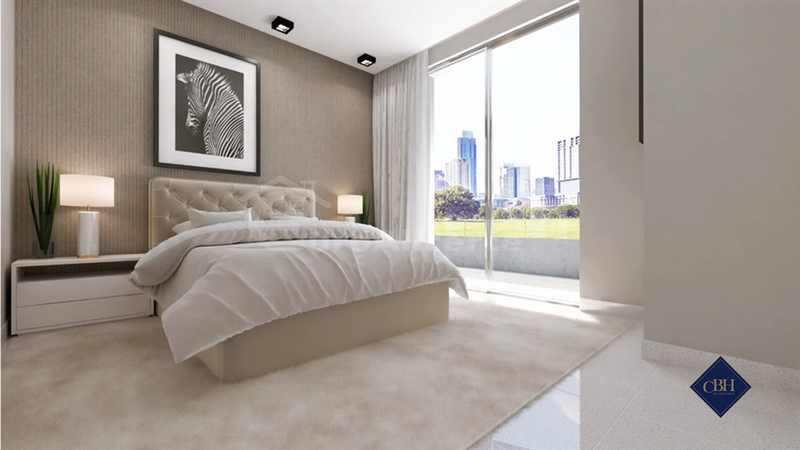 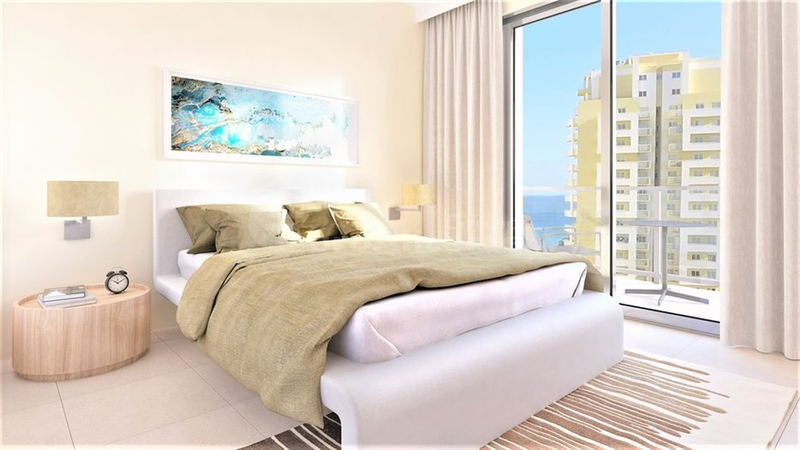 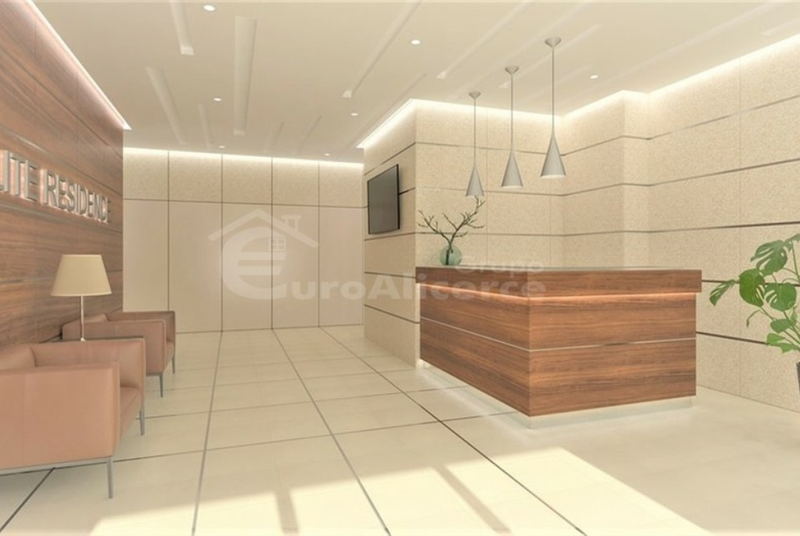 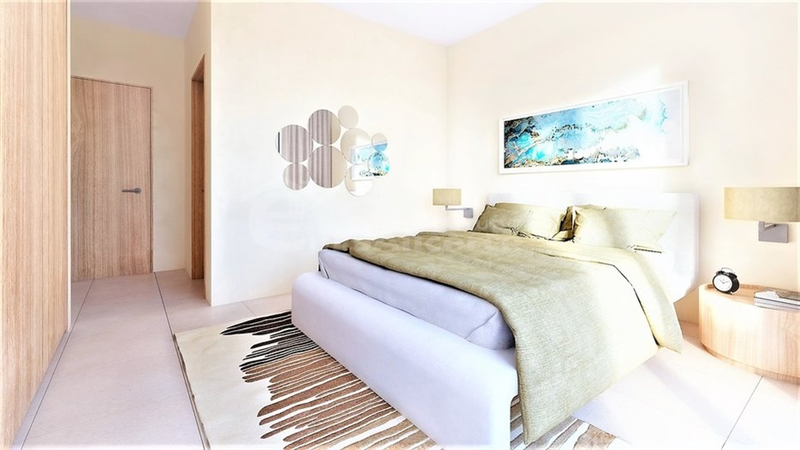 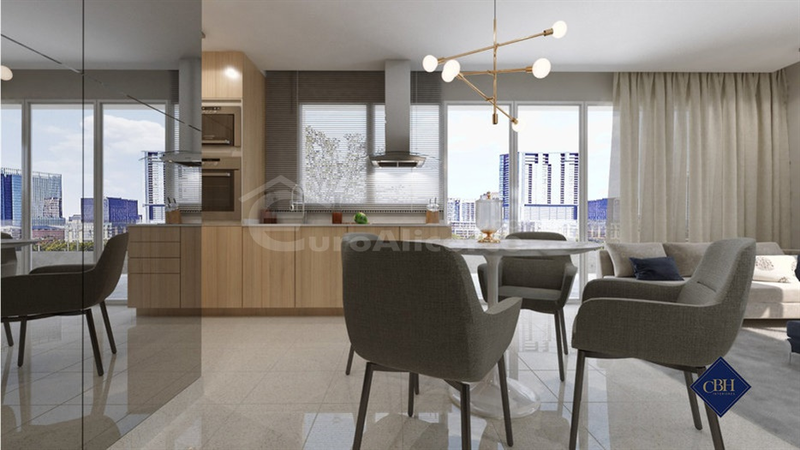 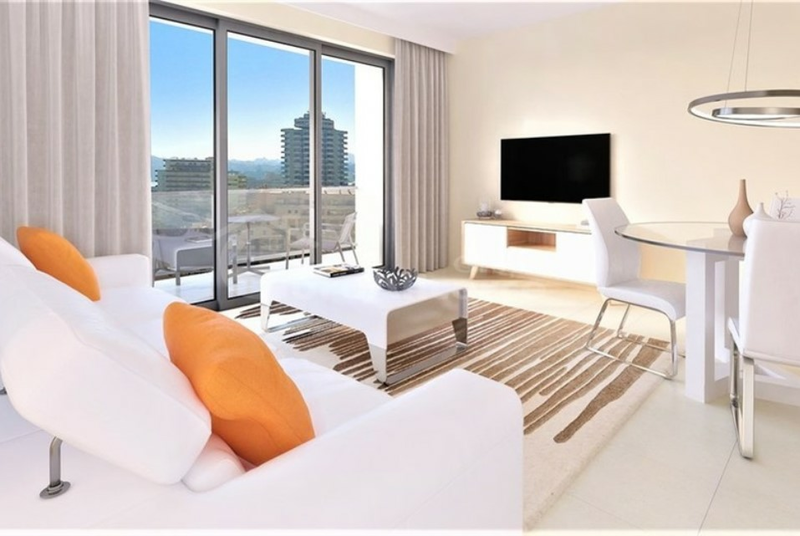 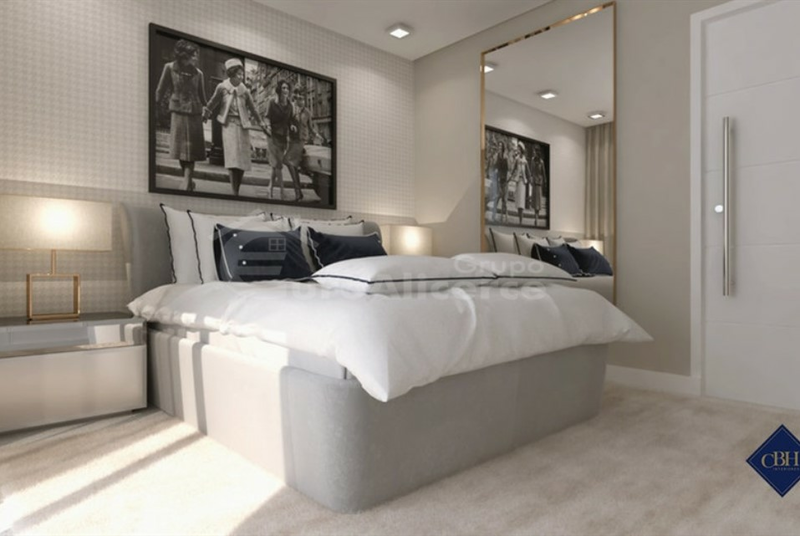 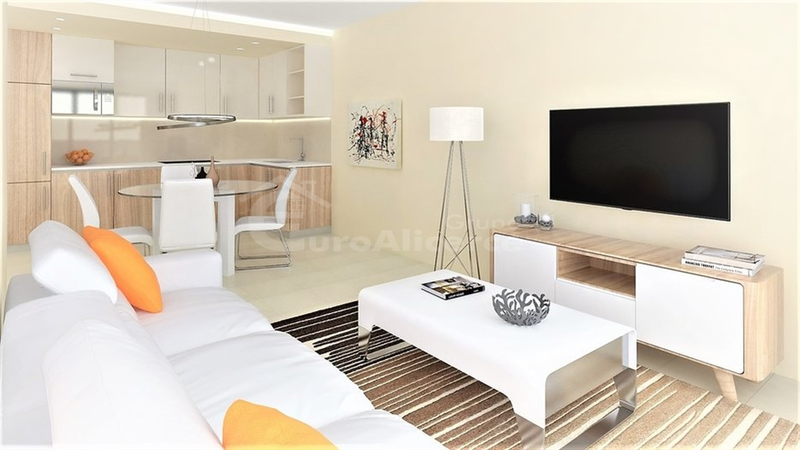 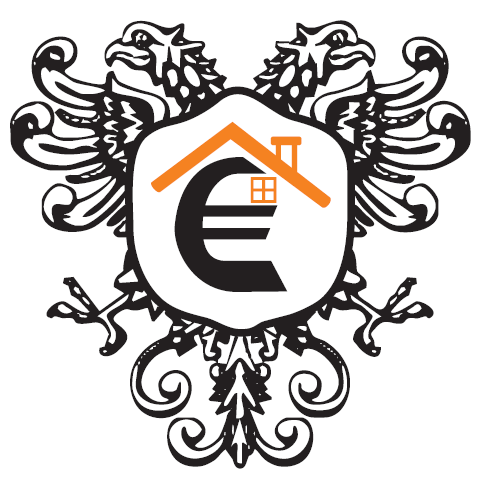 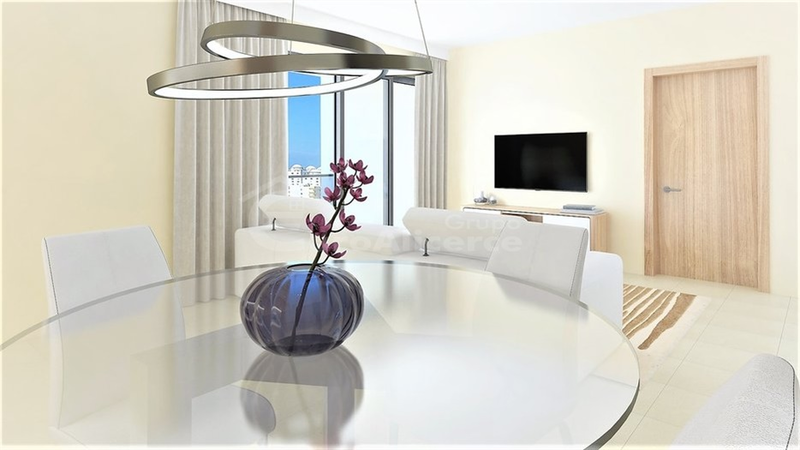 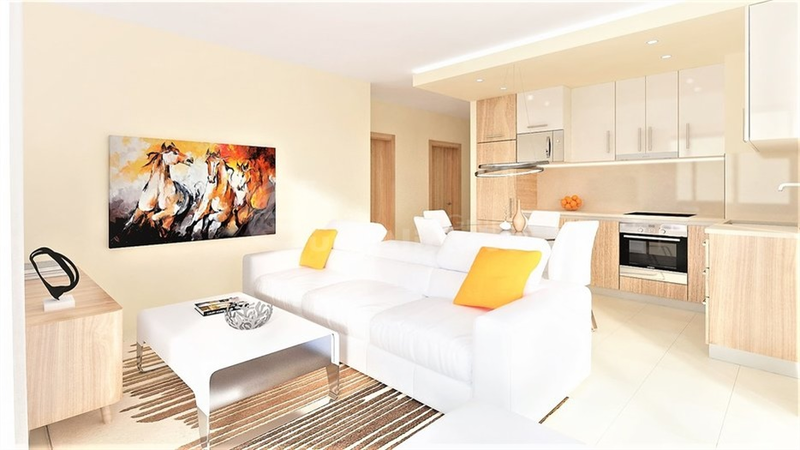 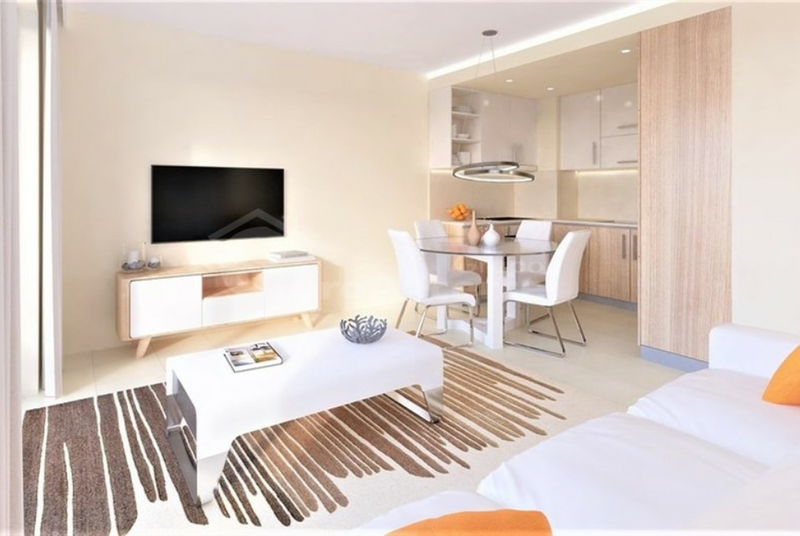 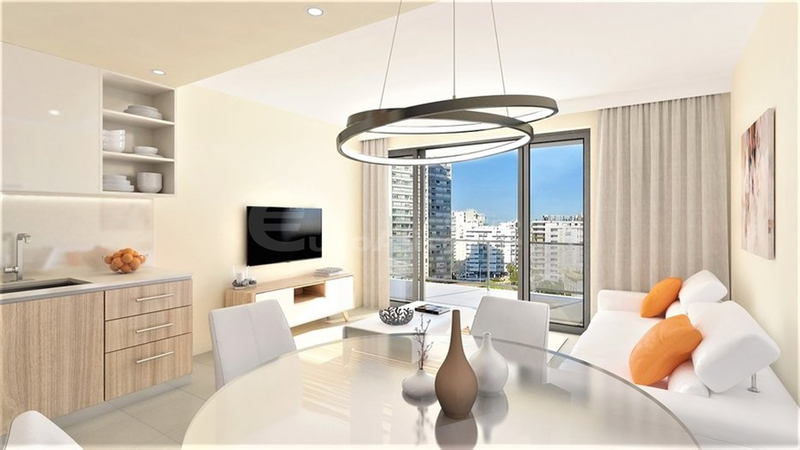 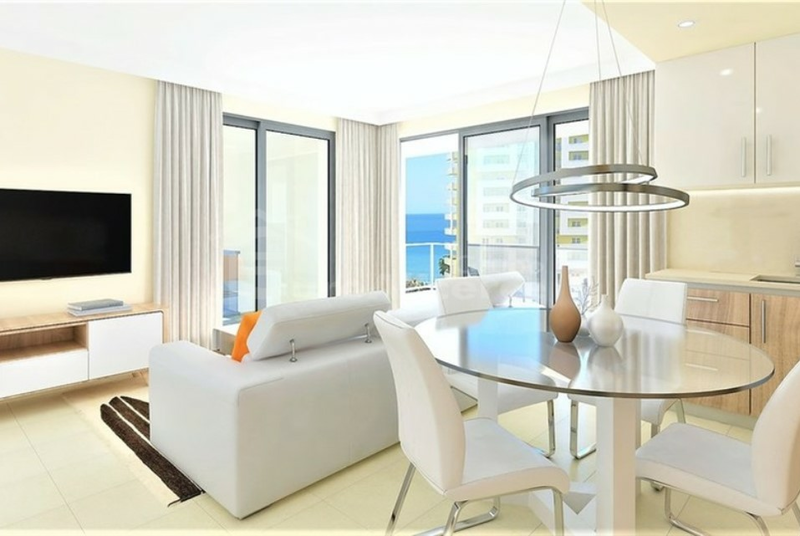 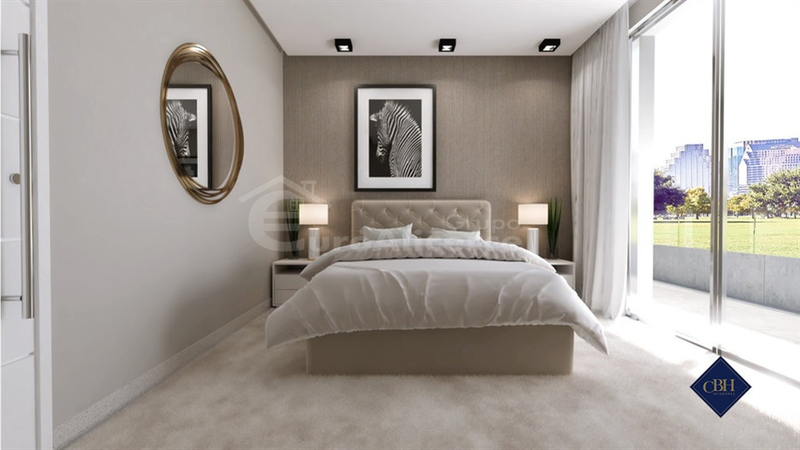 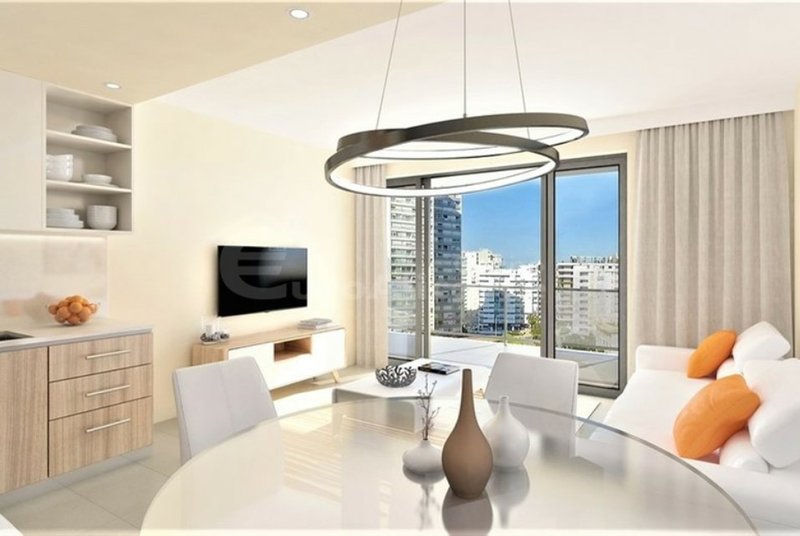 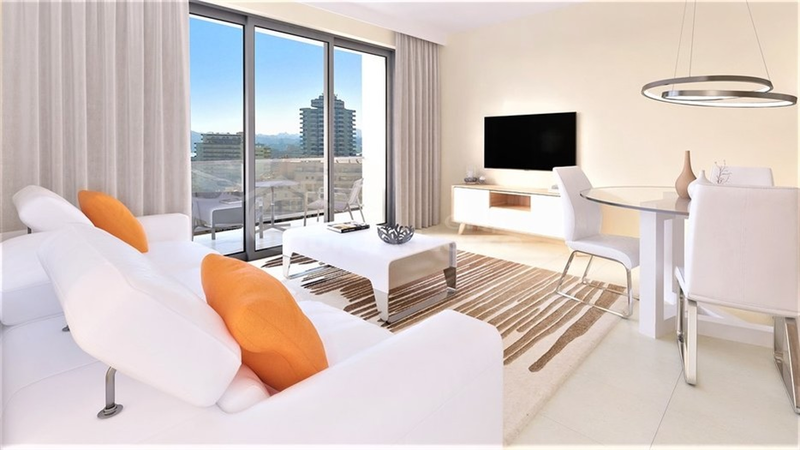 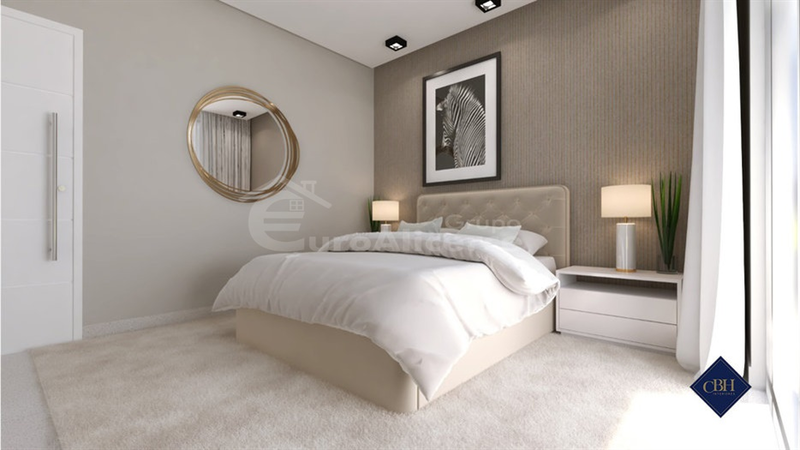 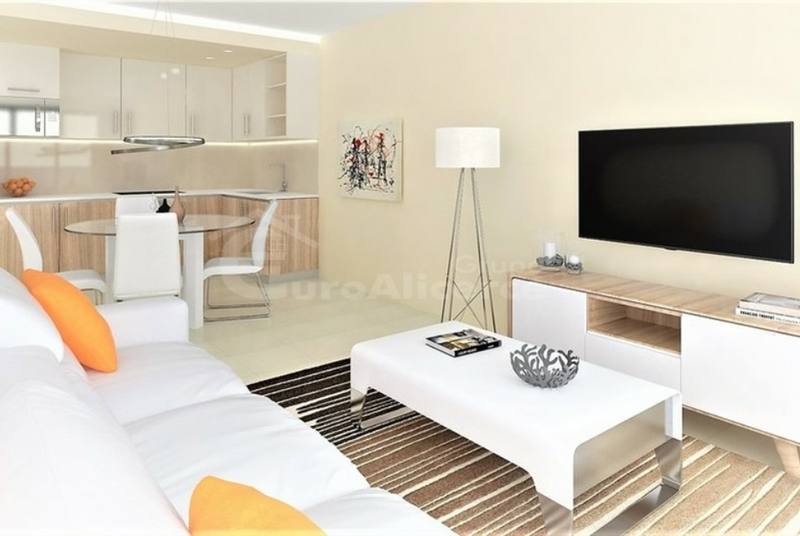 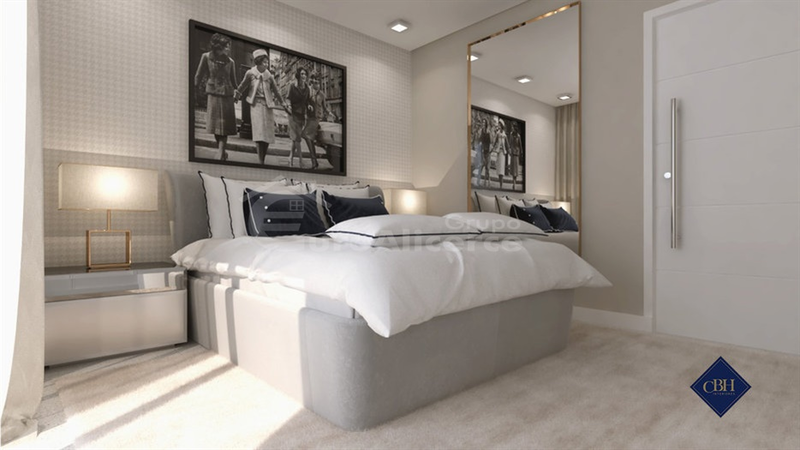 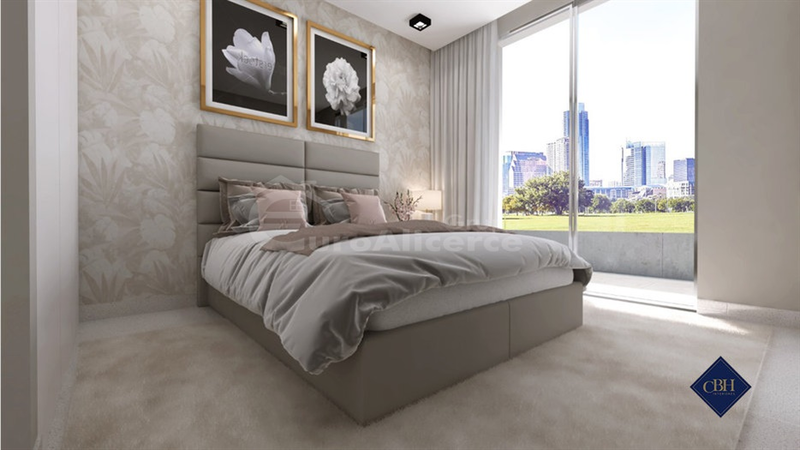 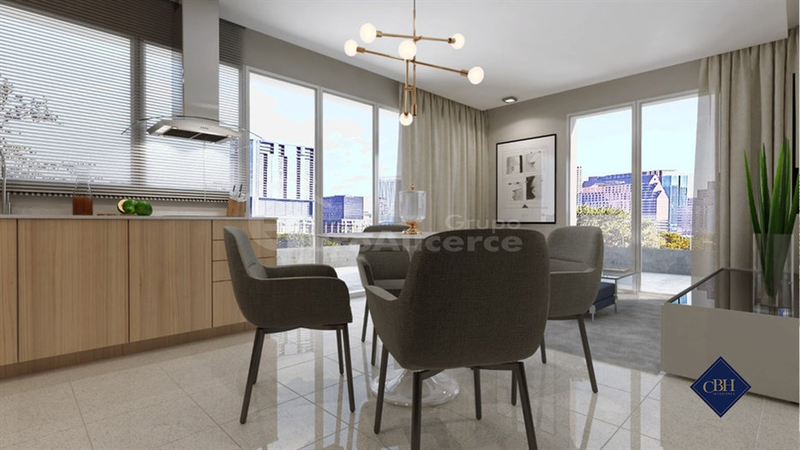 In the interior of the apartments the finishes are a discreet luxury and the ambience is seductive. 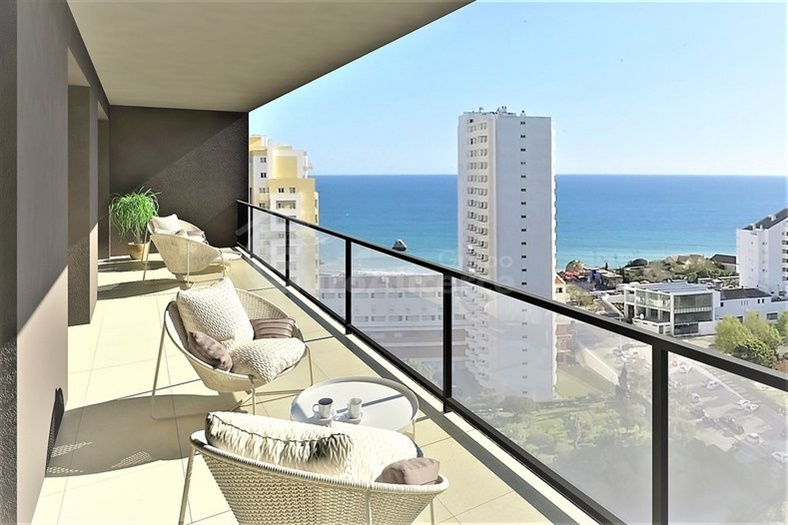 The large balconies feature an excellent exposure to the Sun and sea view. 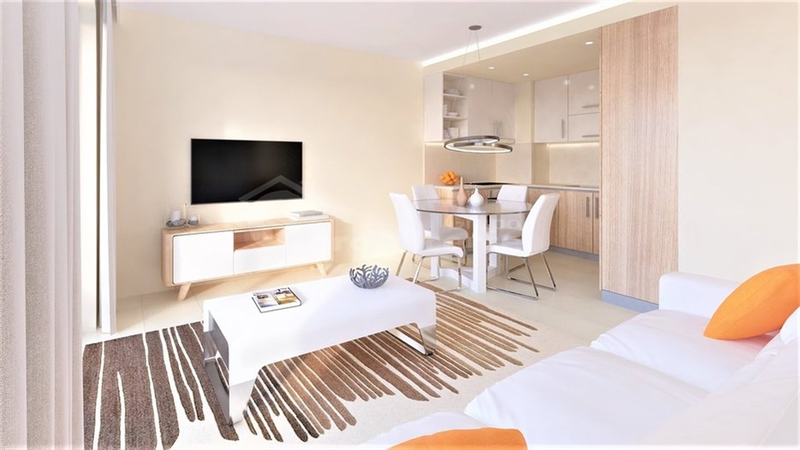 Kitchens with all the appliances fitted, ready for use: oven, ceramic hob, extractor fan, solar water heater, microwave, washing machine, dishwasher and fridge/freezer combo, sink countertop in stainless steel. 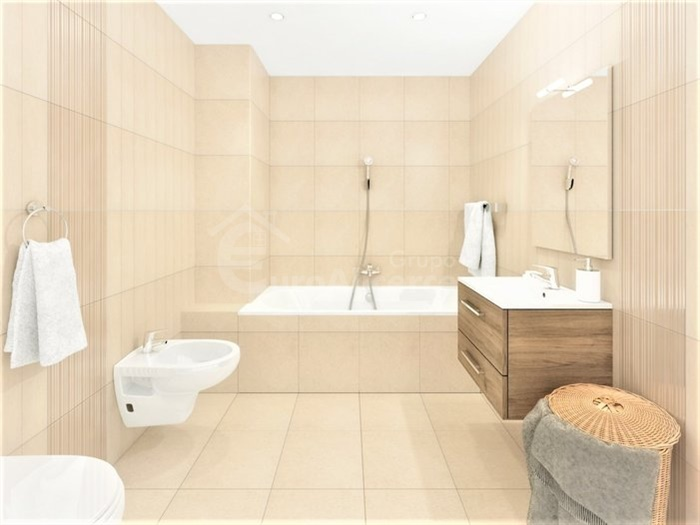 In the bathrooms: sanitary sink suspended, suspended lavatory counters, shower bases, chrome faucets, wall mirrors. 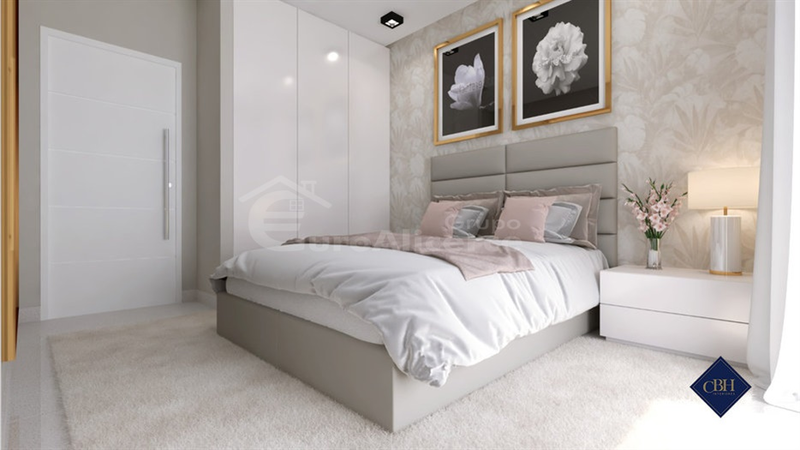 Fire entry doors and high security. 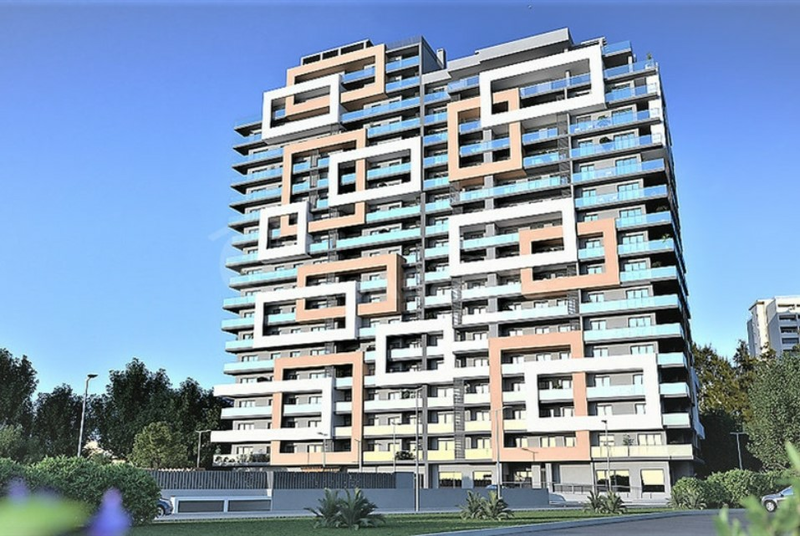 Door frame in aluminium with high panoramic double glass.